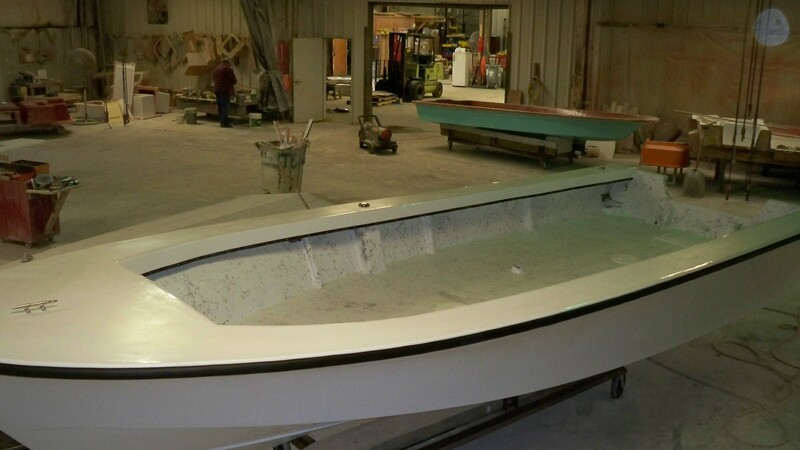 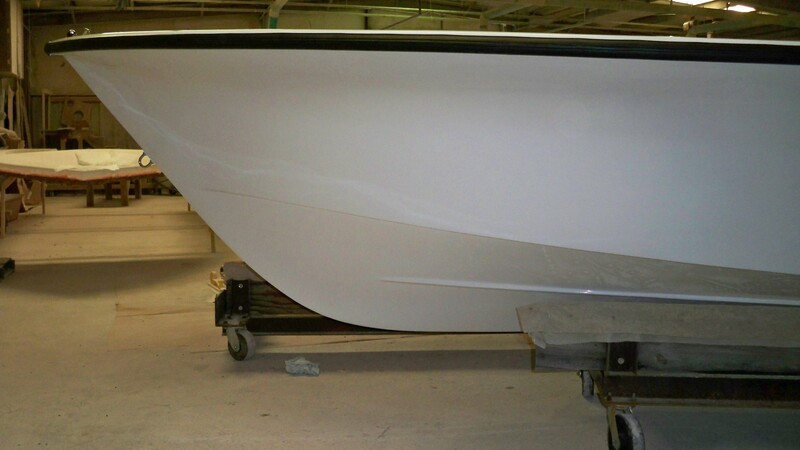 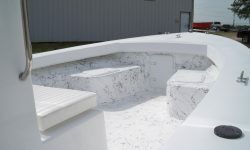 With a 14 degree dead-rise hull, this model shows off C-Hawk’s capabilities – giving you a better ride in rough waters. 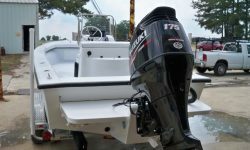 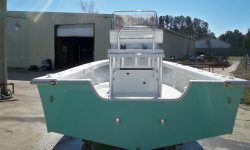 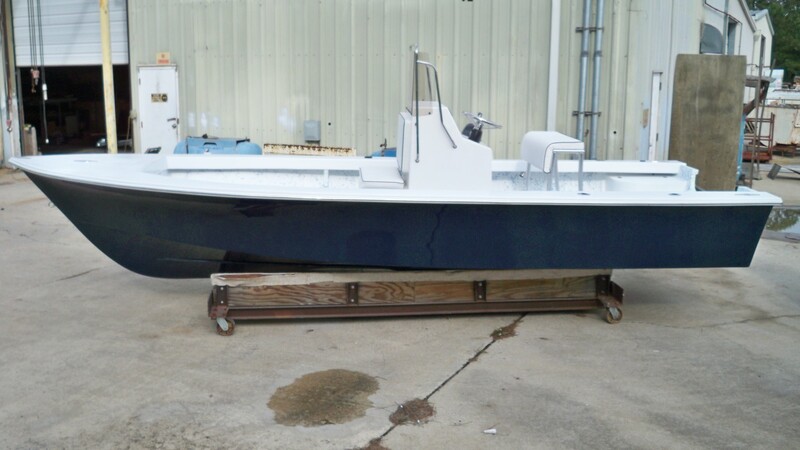 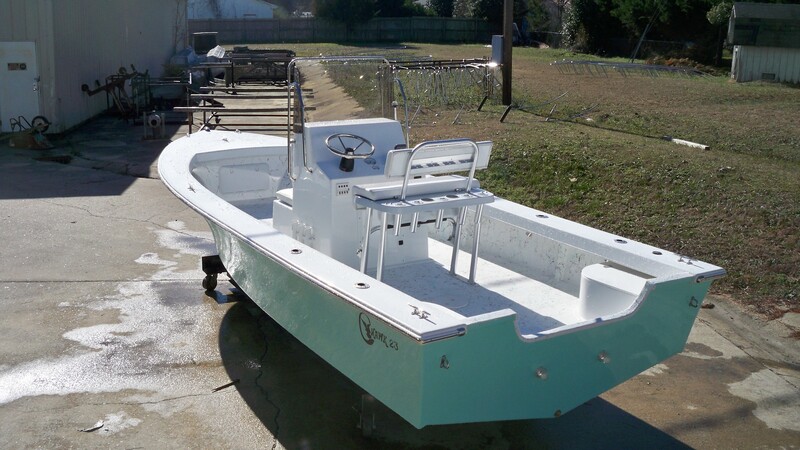 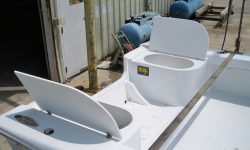 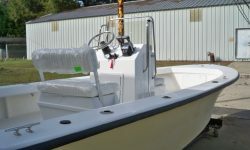 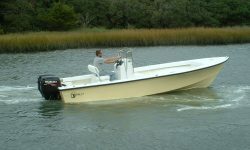 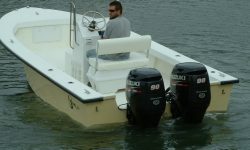 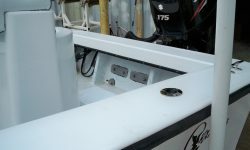 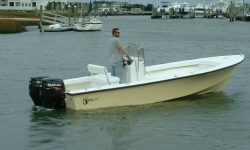 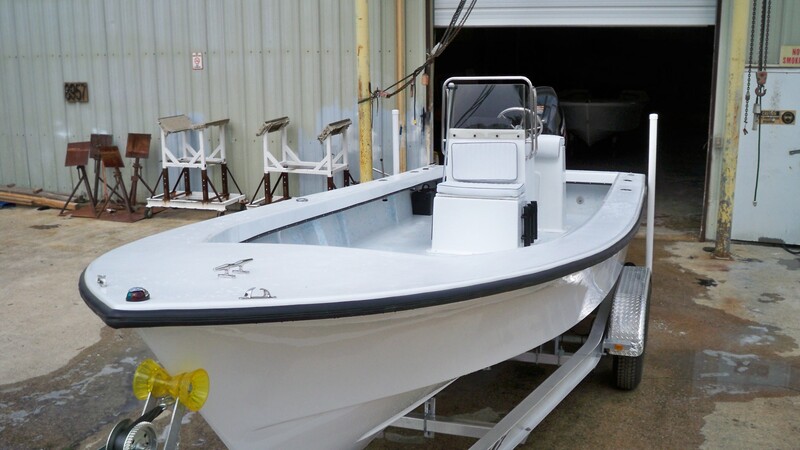 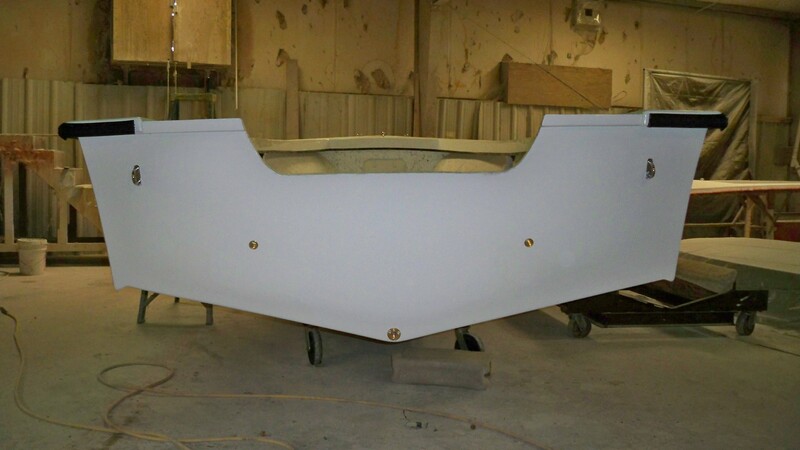 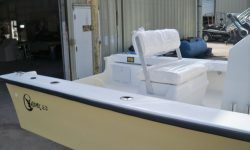 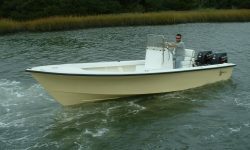 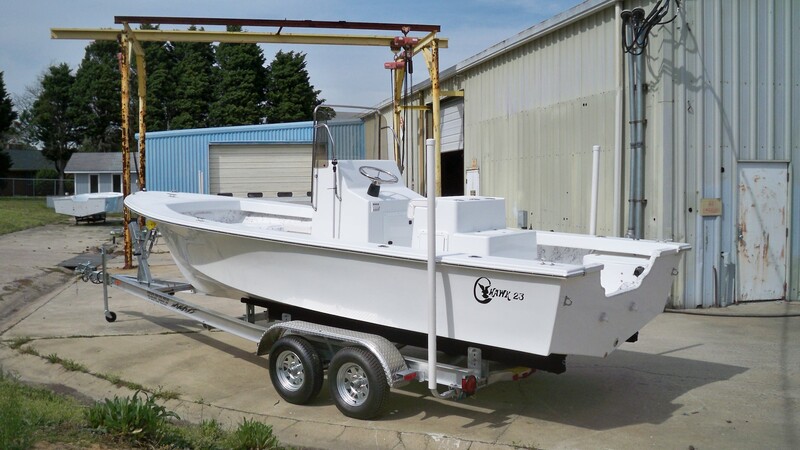 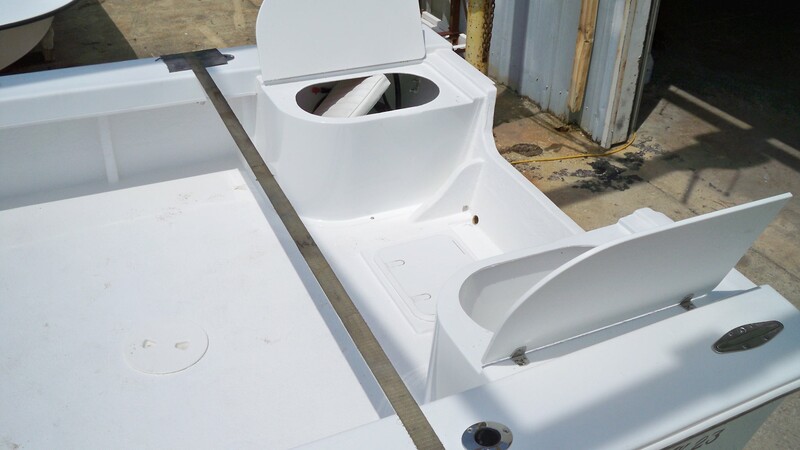 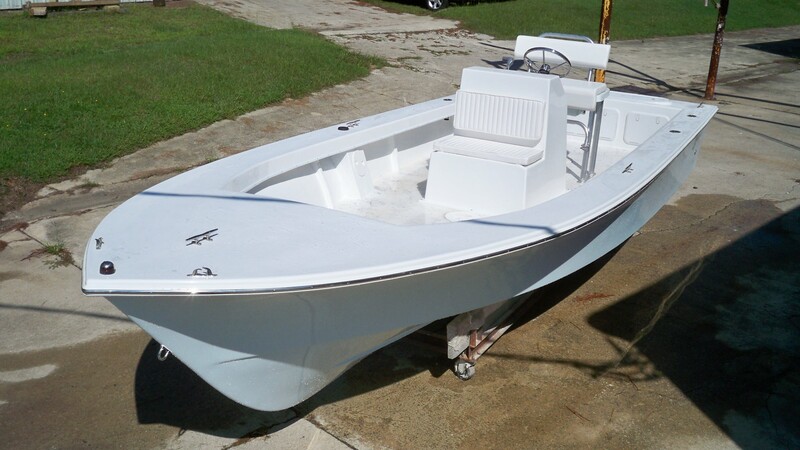 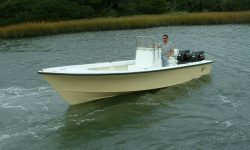 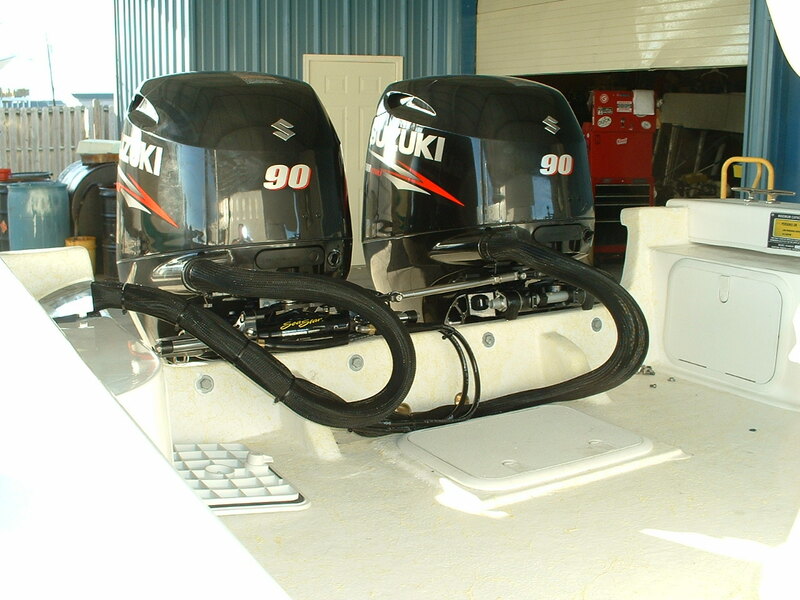 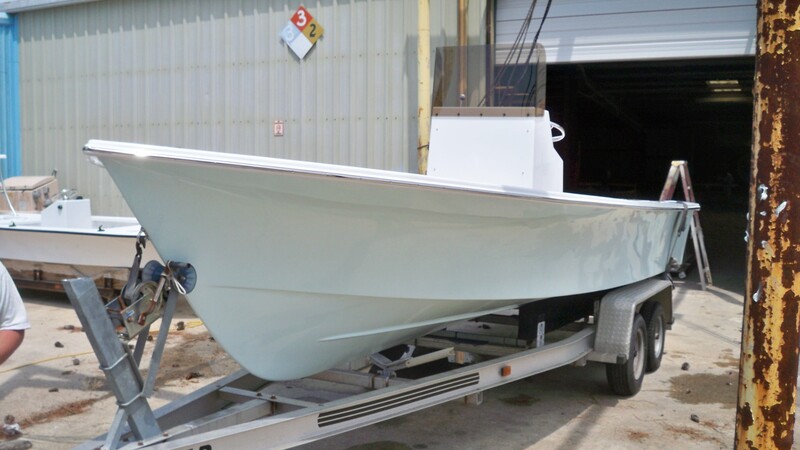 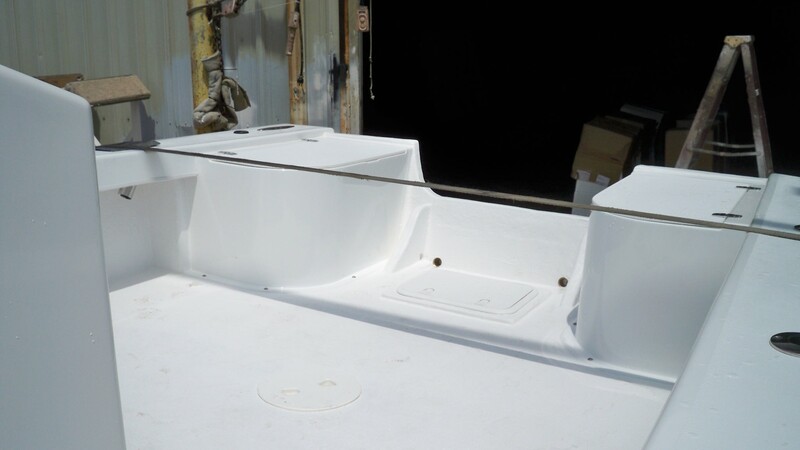 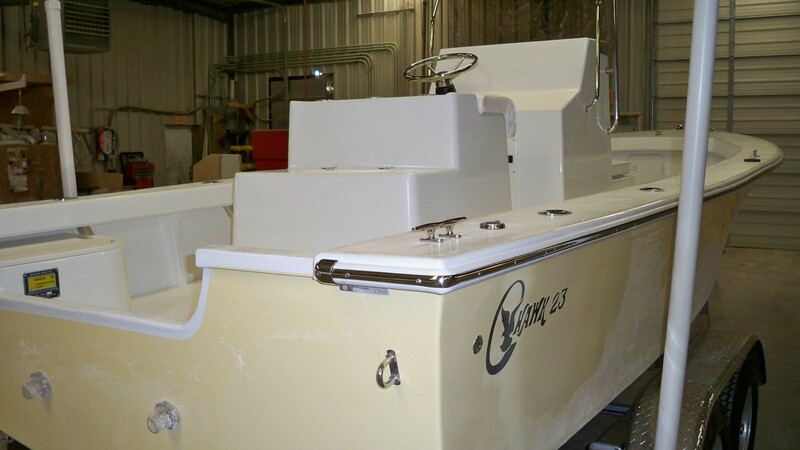 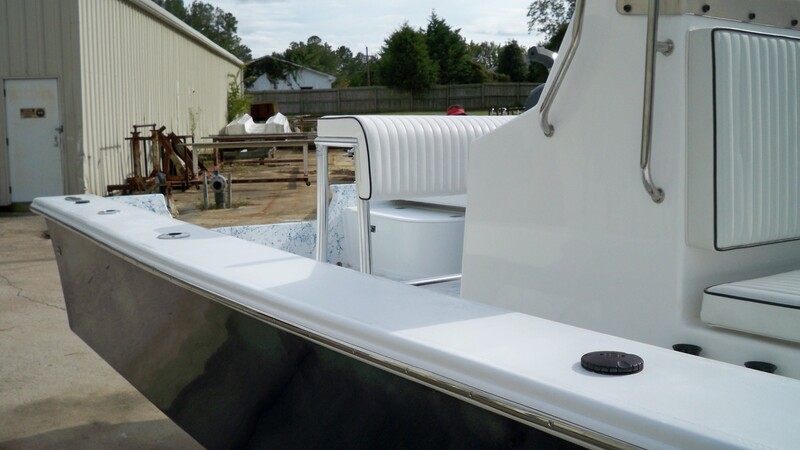 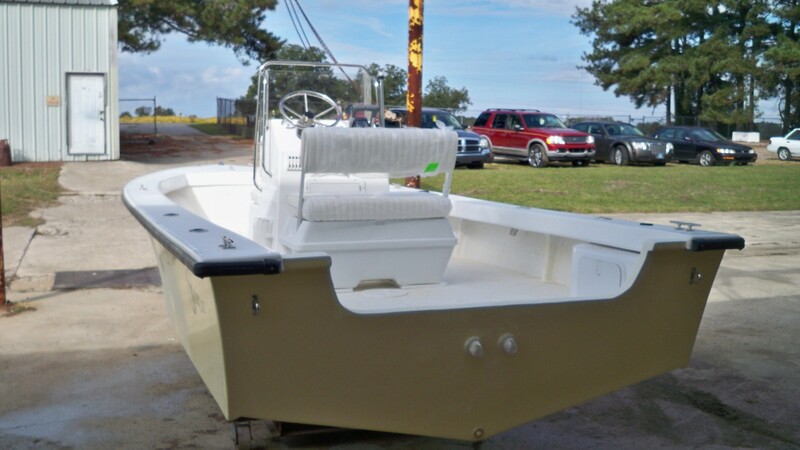 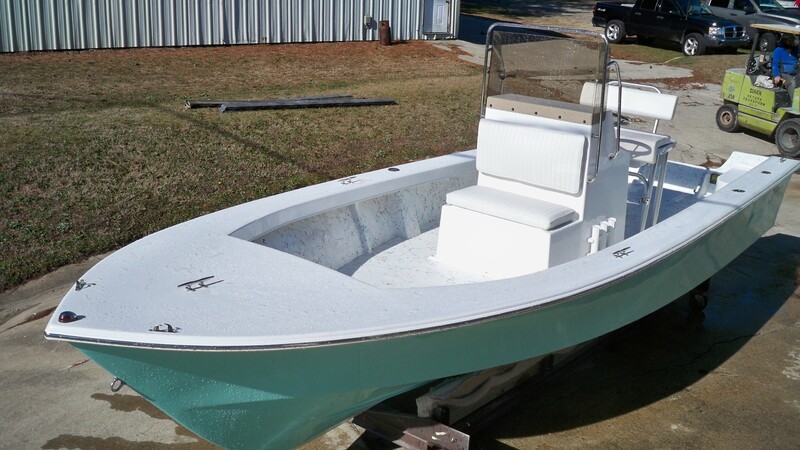 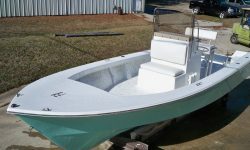 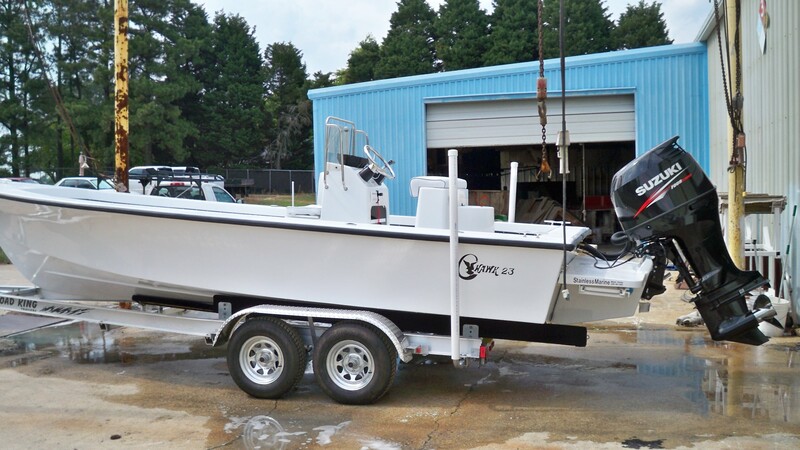 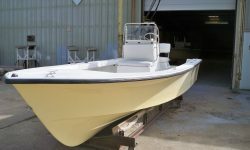 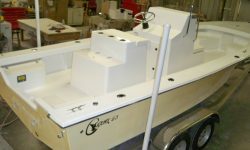 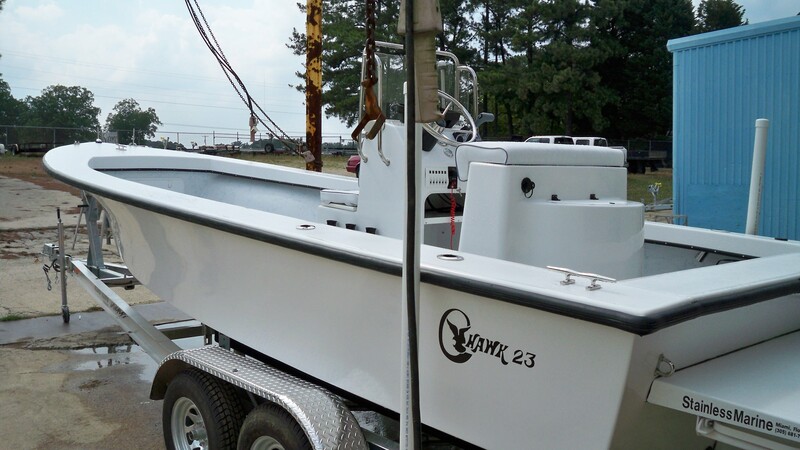 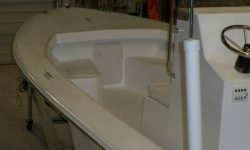 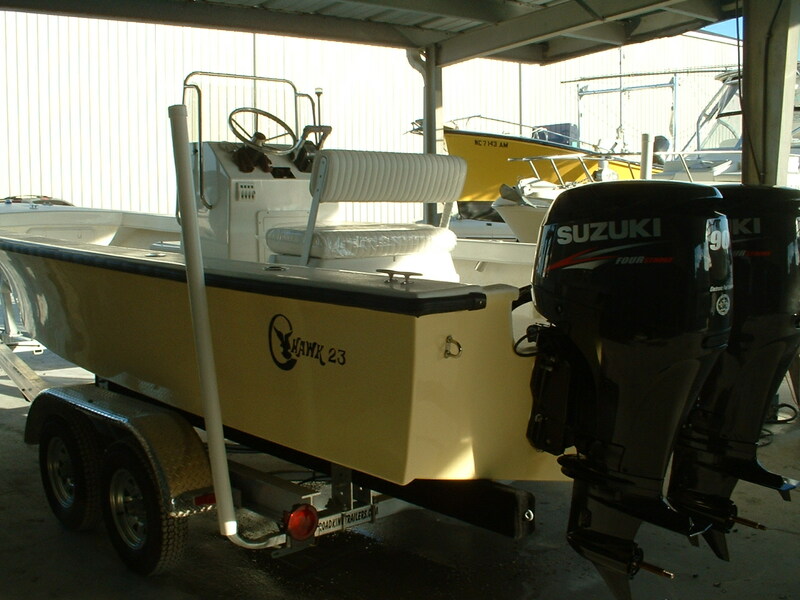 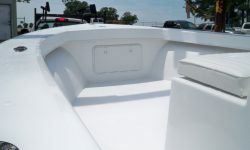 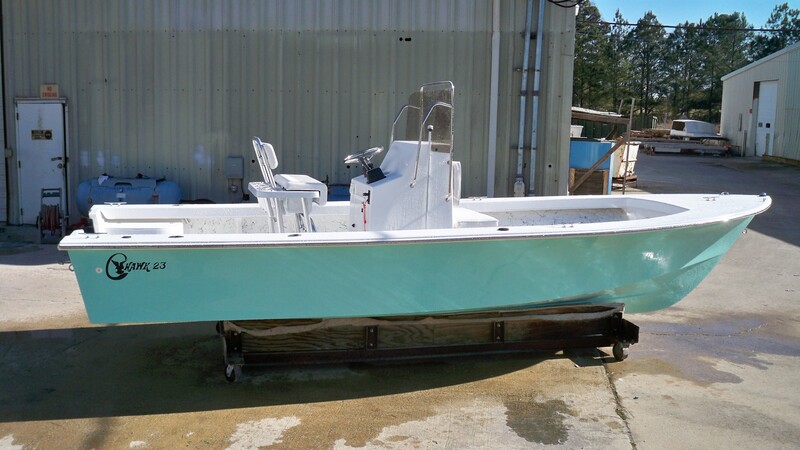 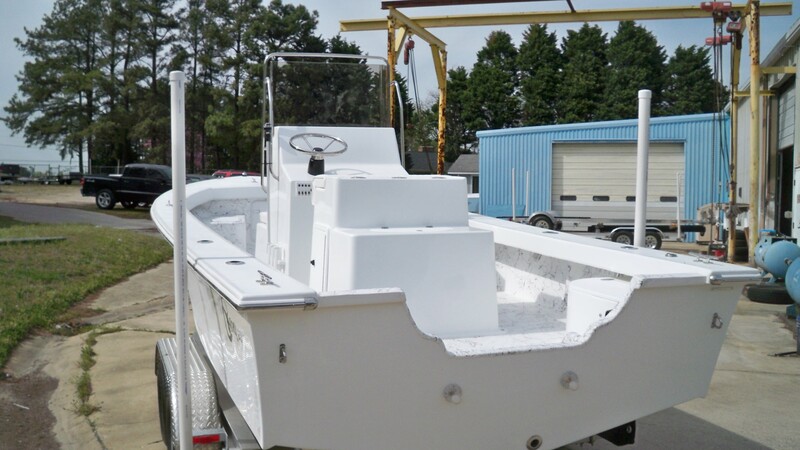 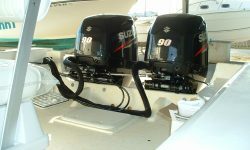 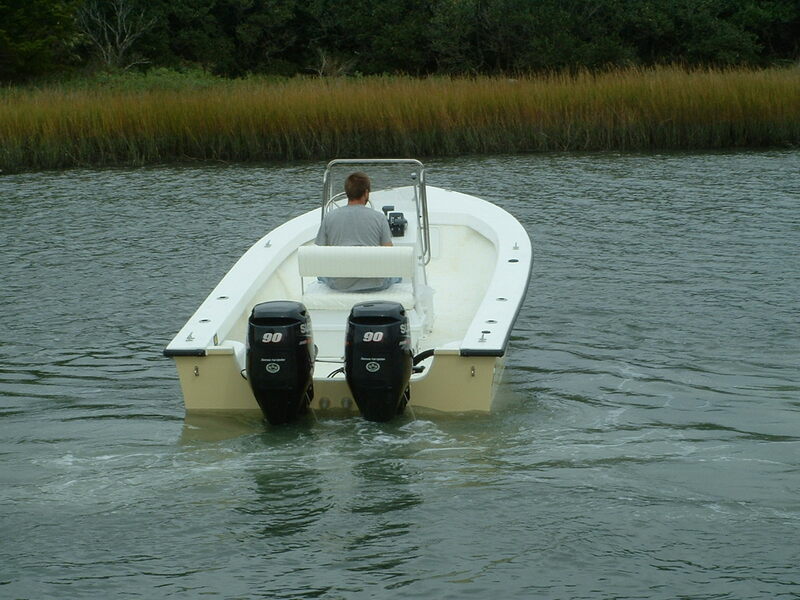 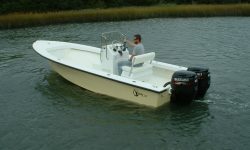 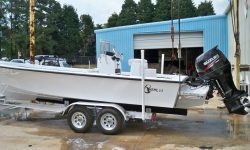 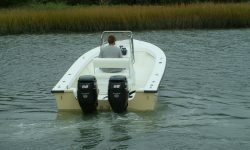 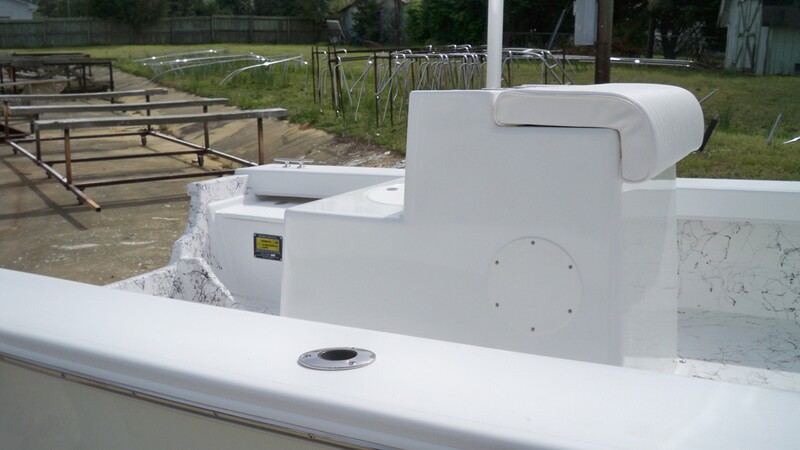 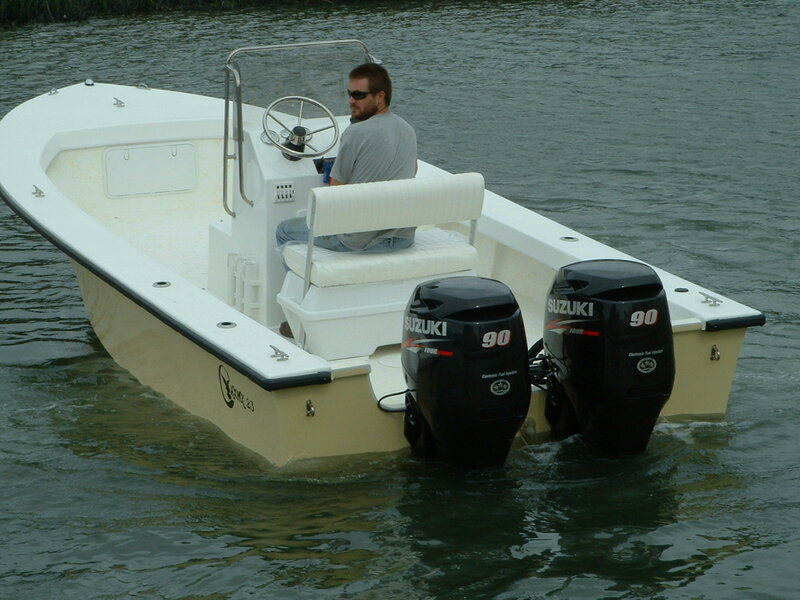 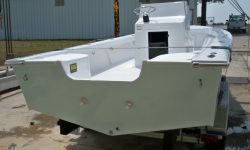 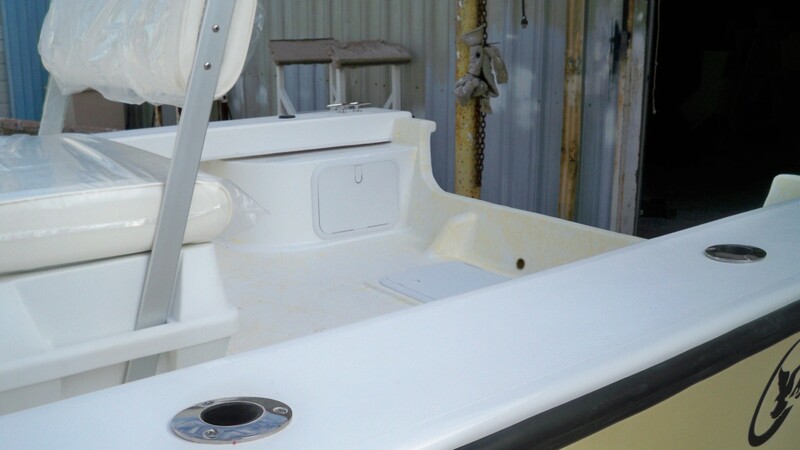 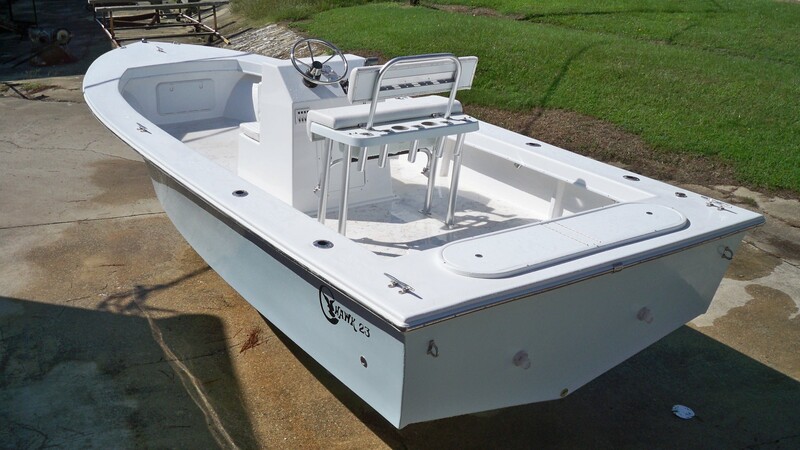 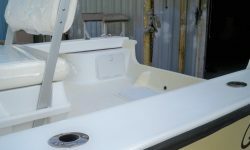 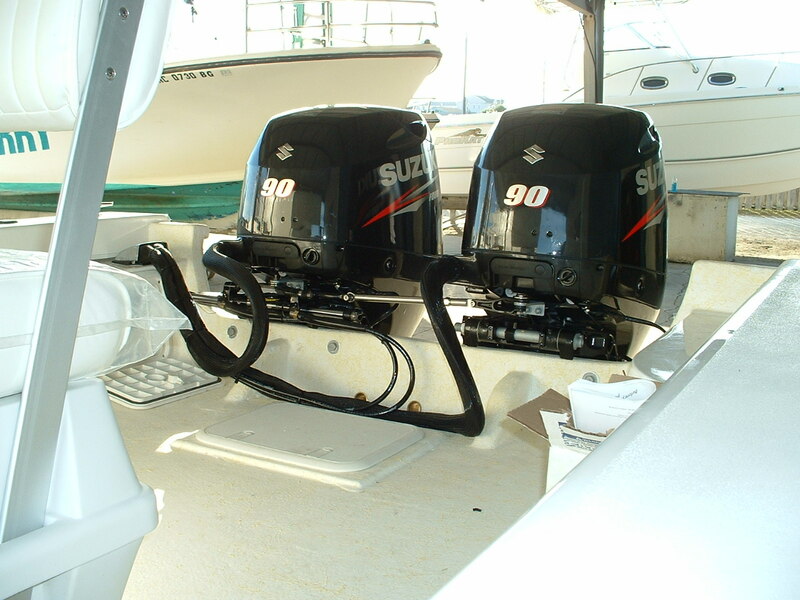 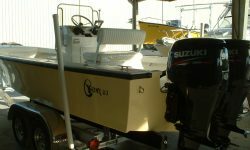 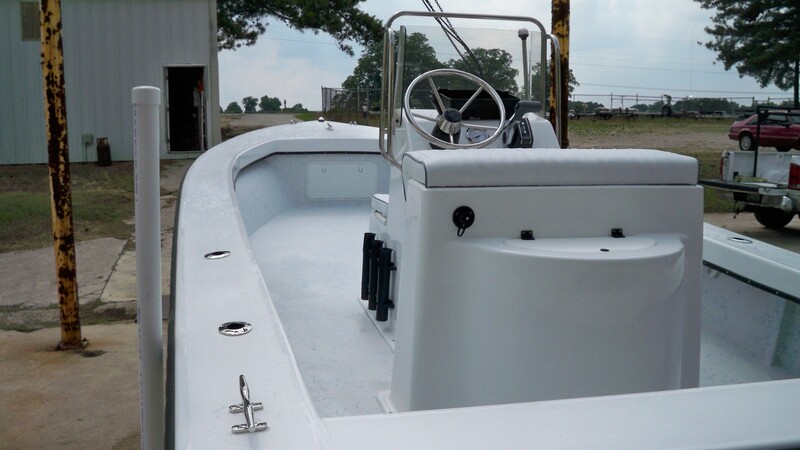 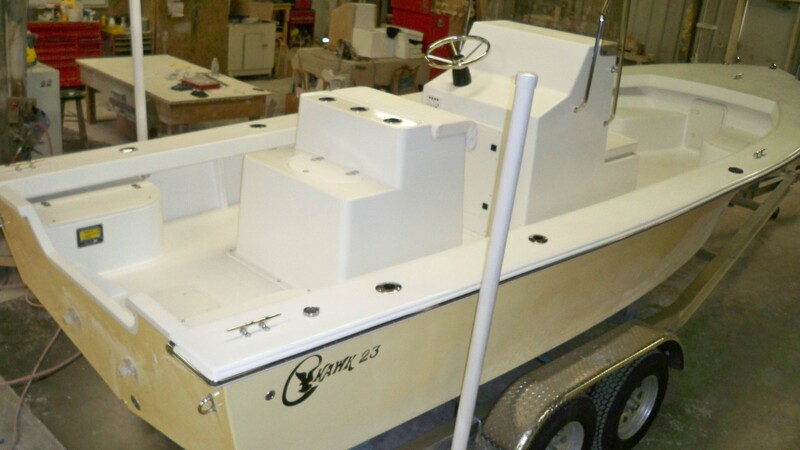 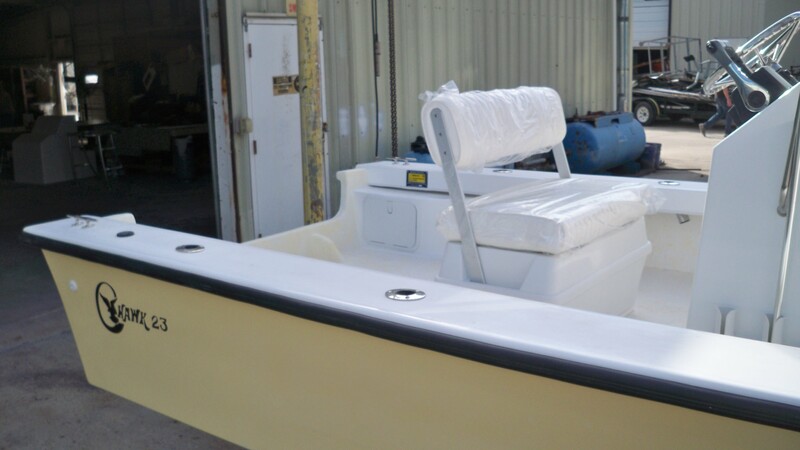 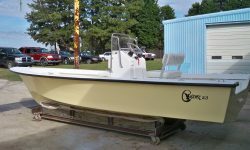 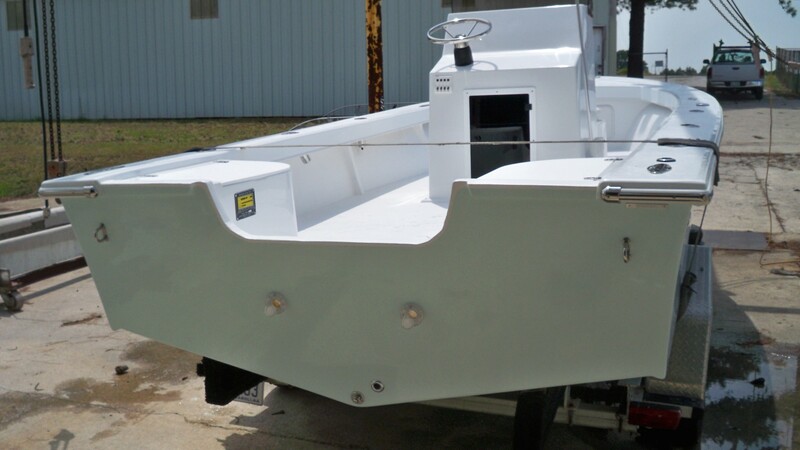 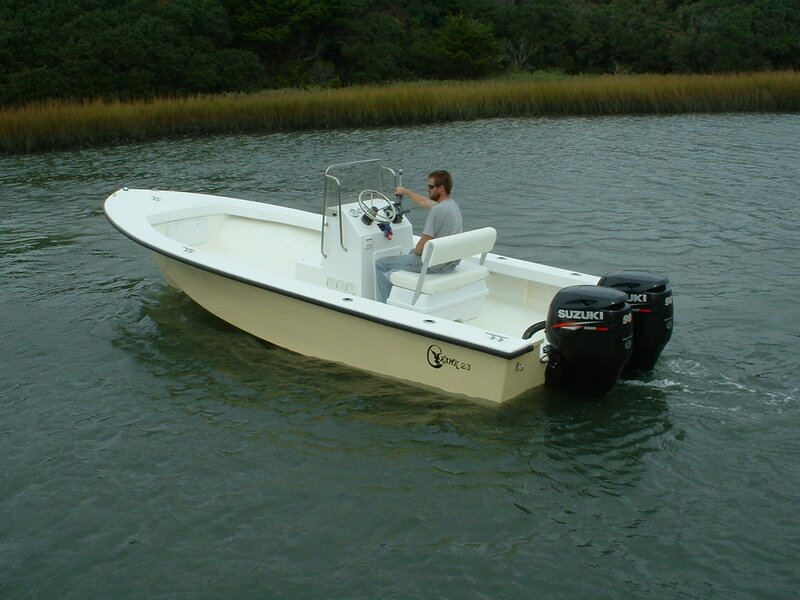 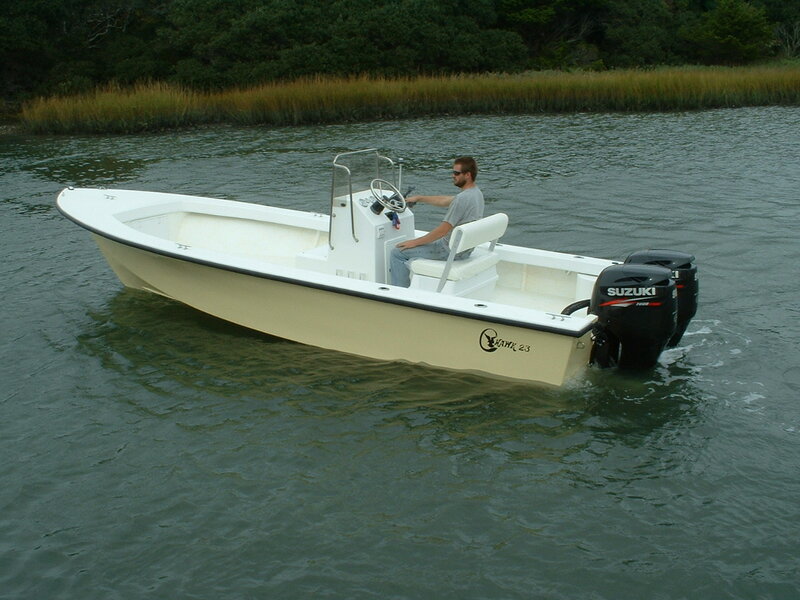 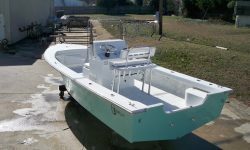 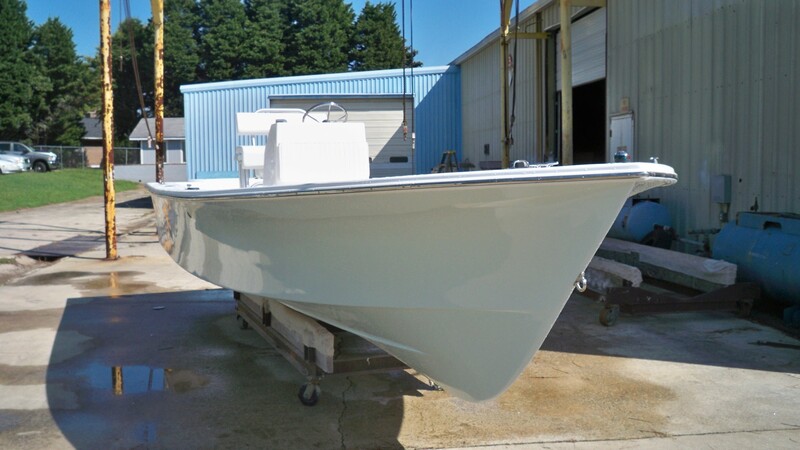 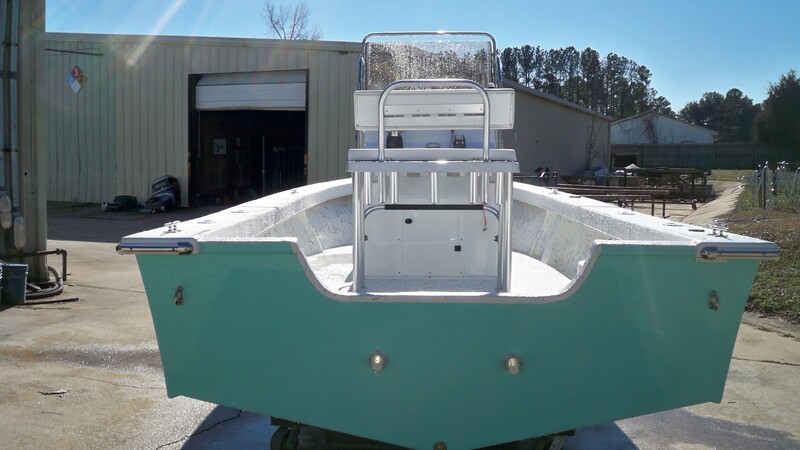 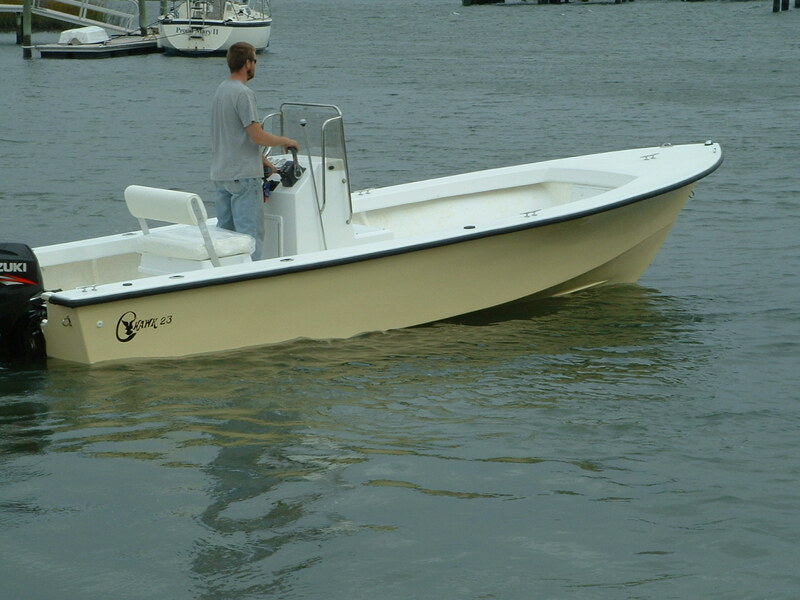 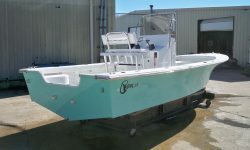 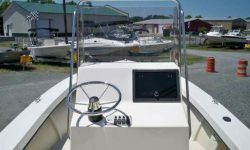 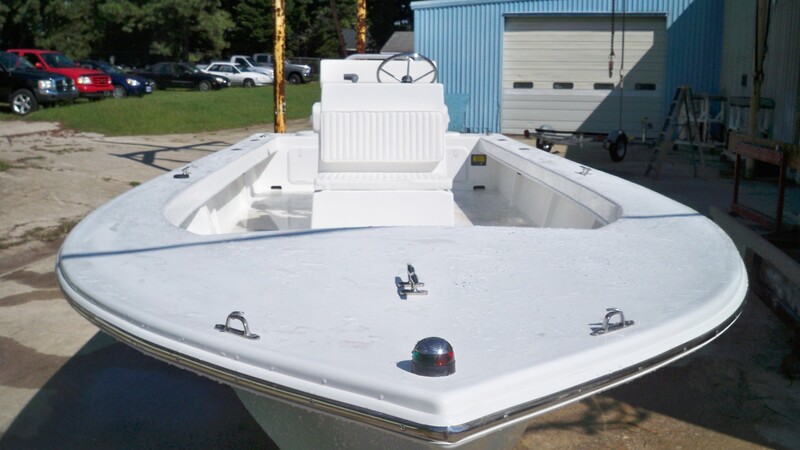 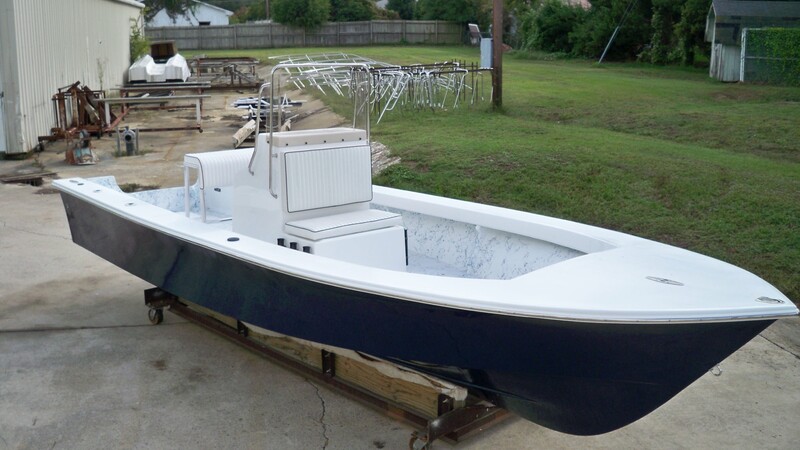 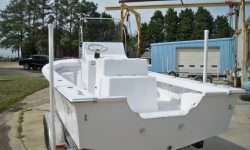 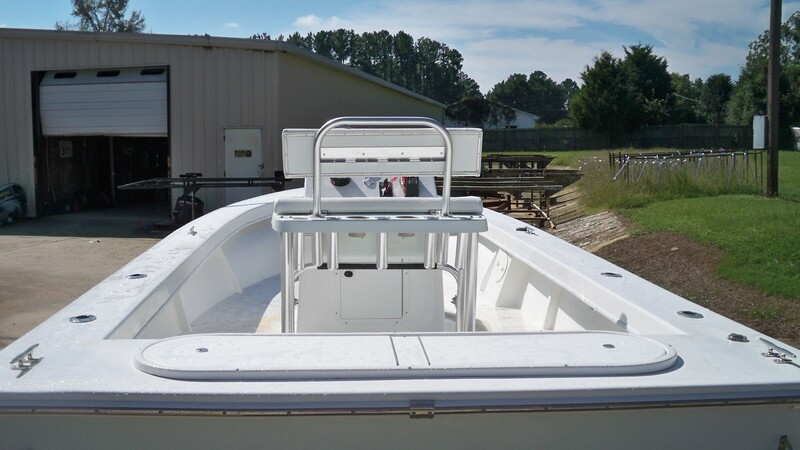 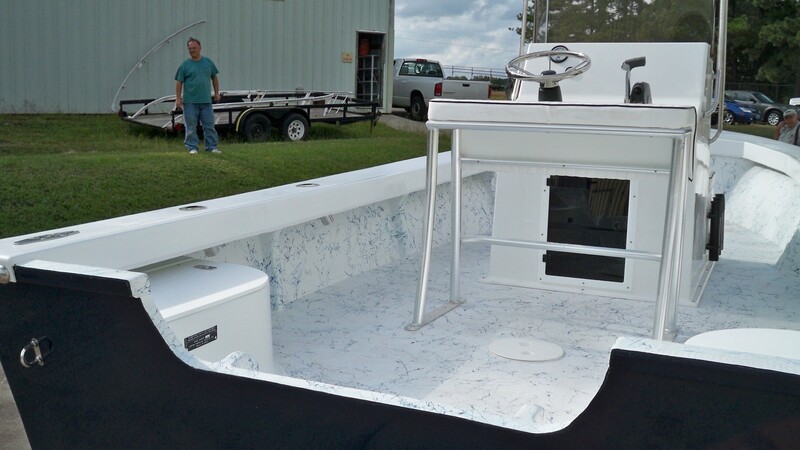 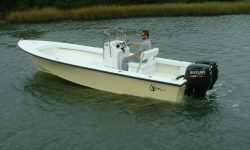 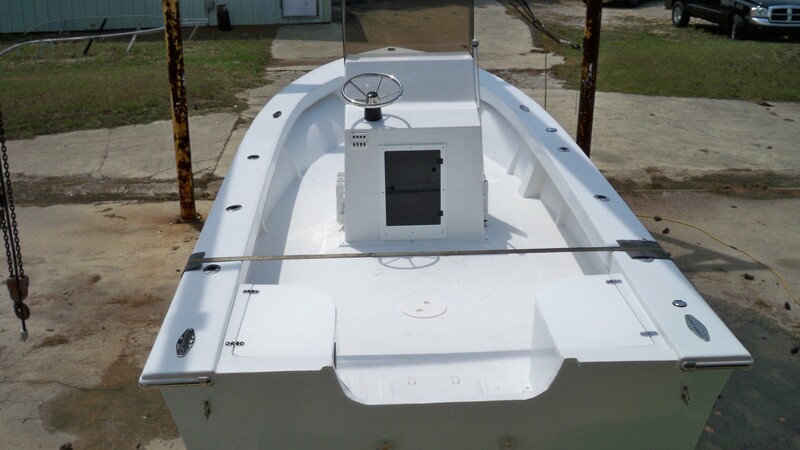 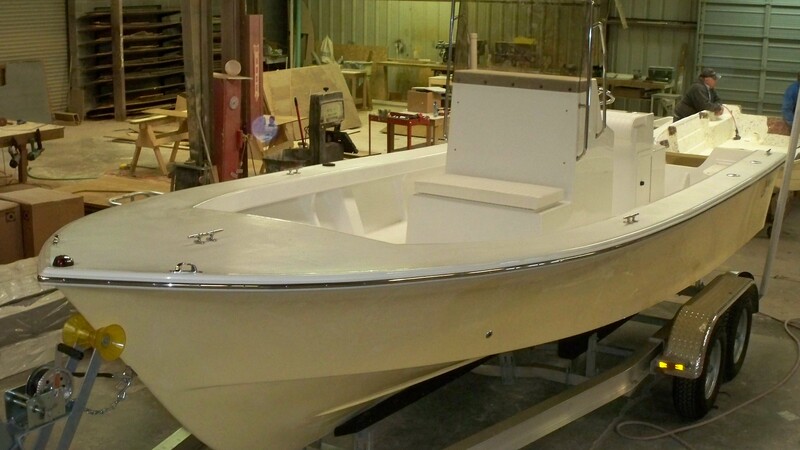 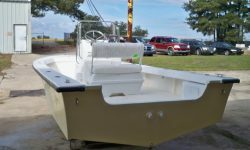 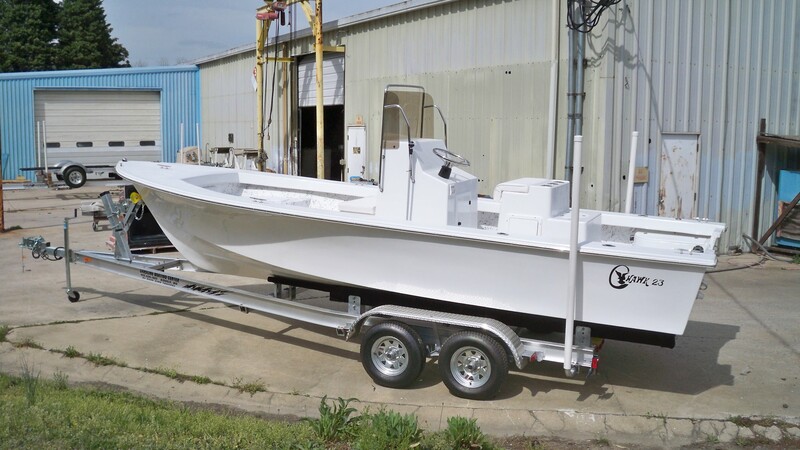 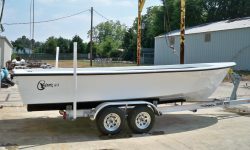 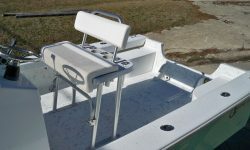 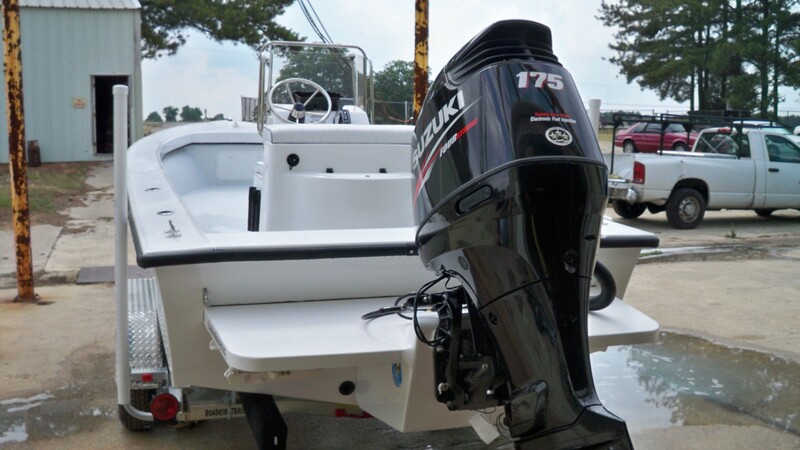 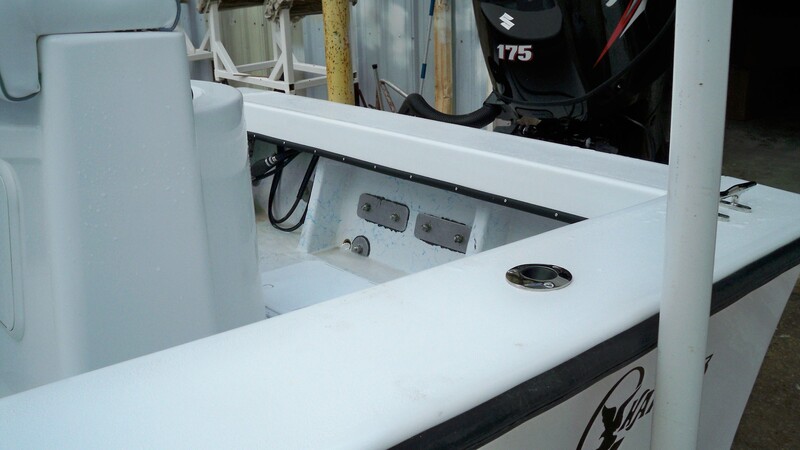 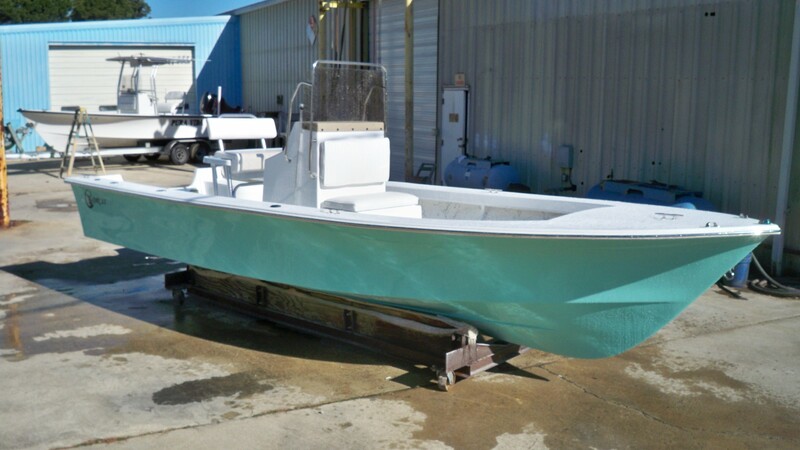 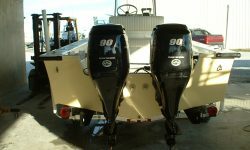 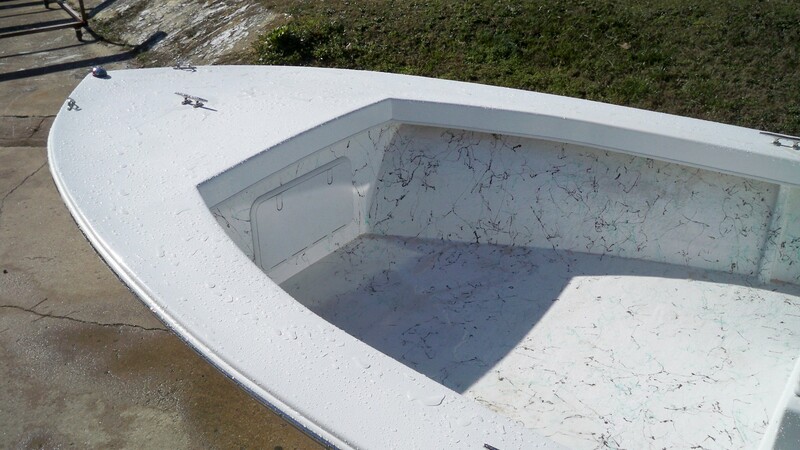 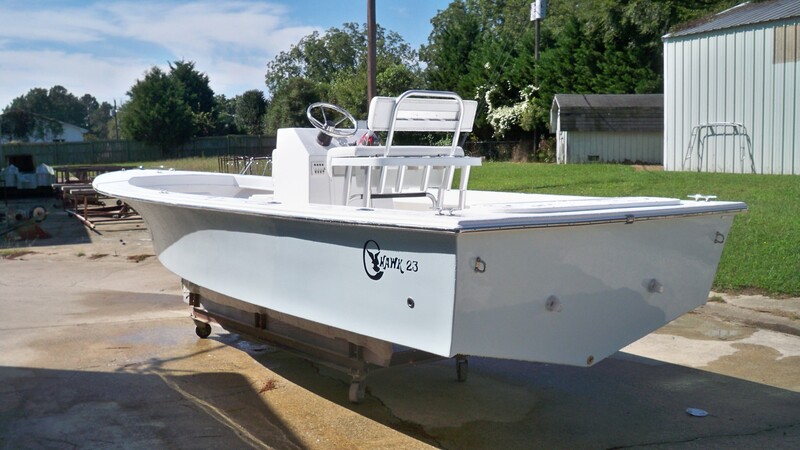 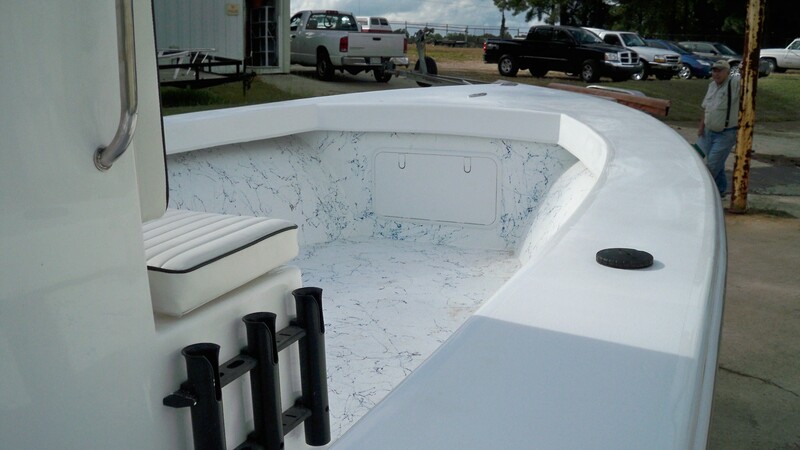 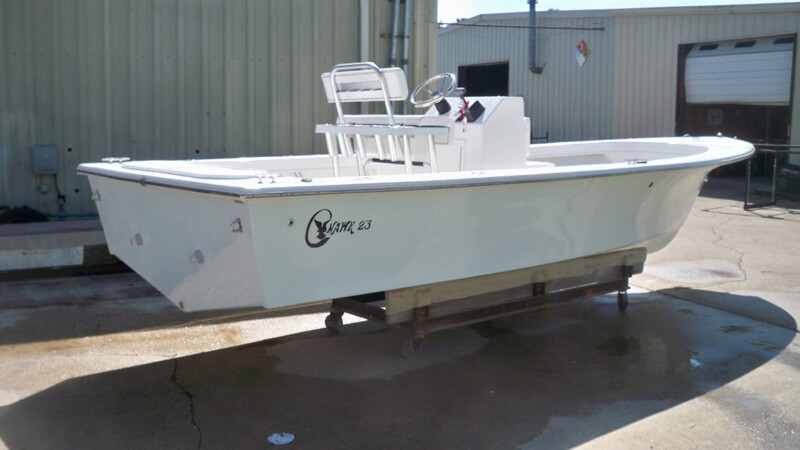 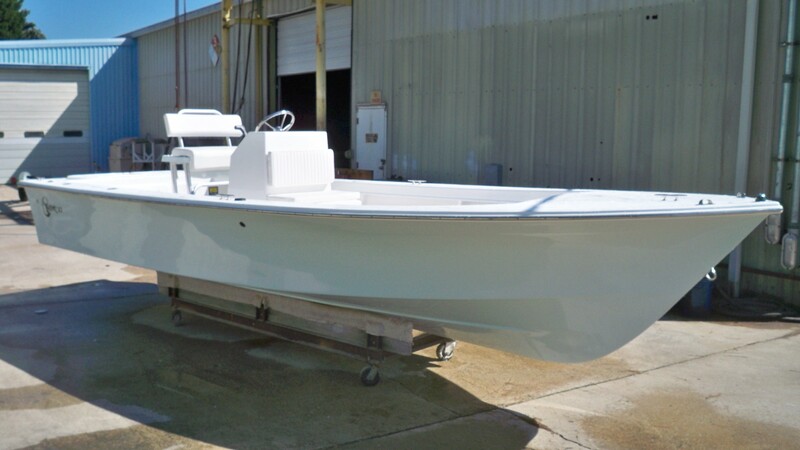 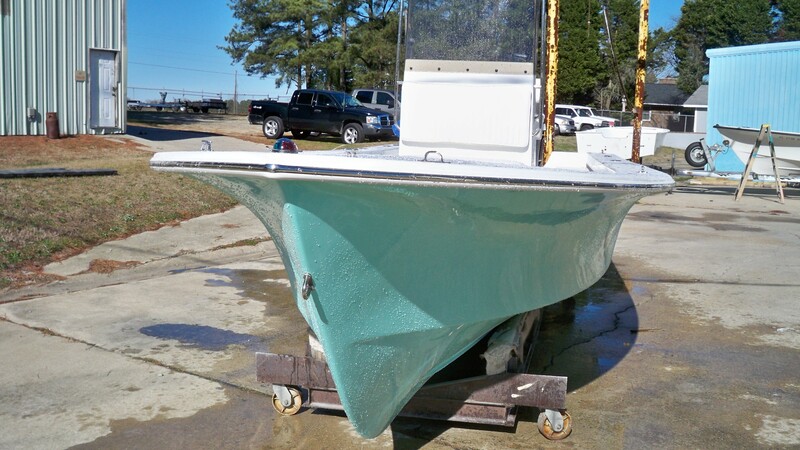 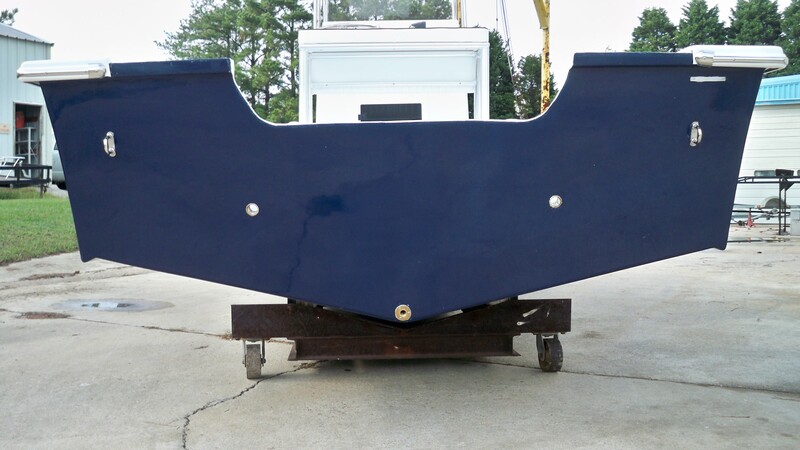 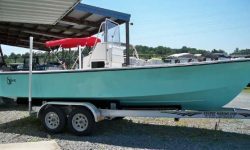 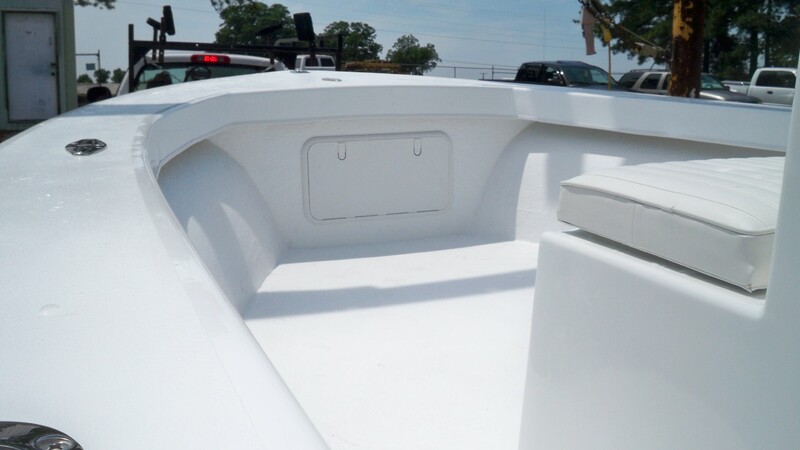 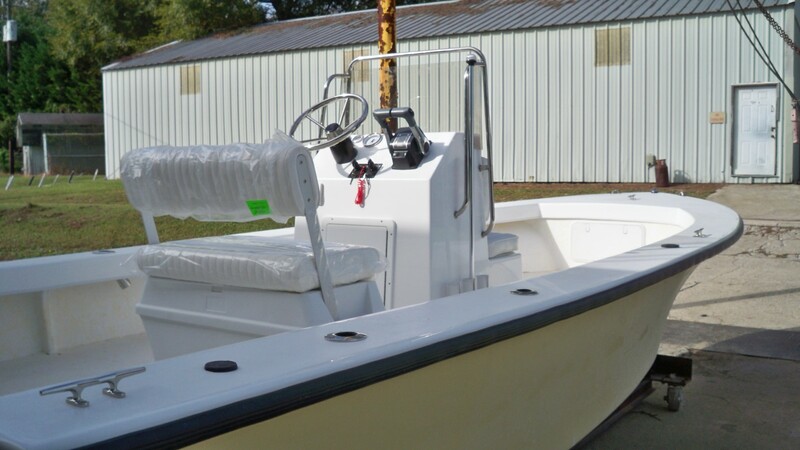 The 23 Center Console is designed to be equally at home in bays and inlets or for fishing Florida Flats. 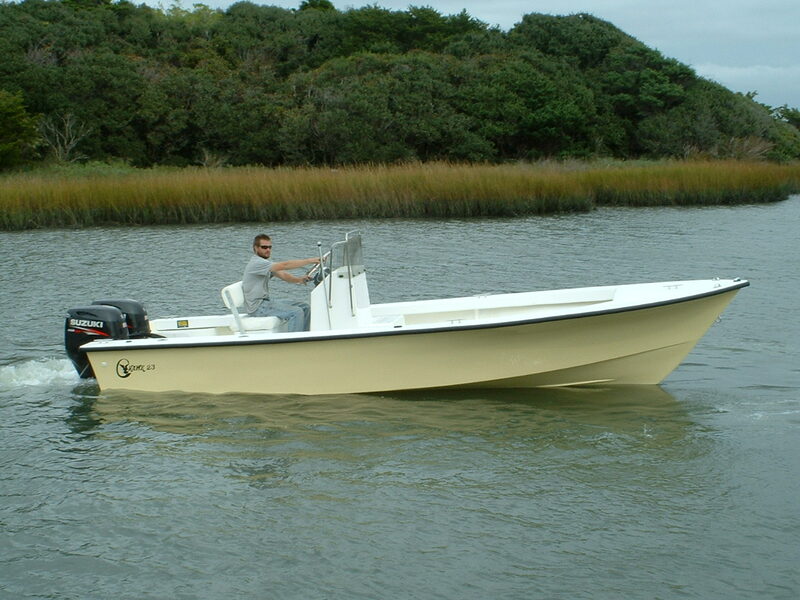 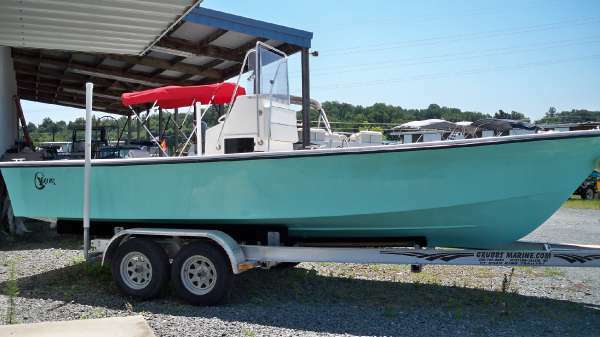 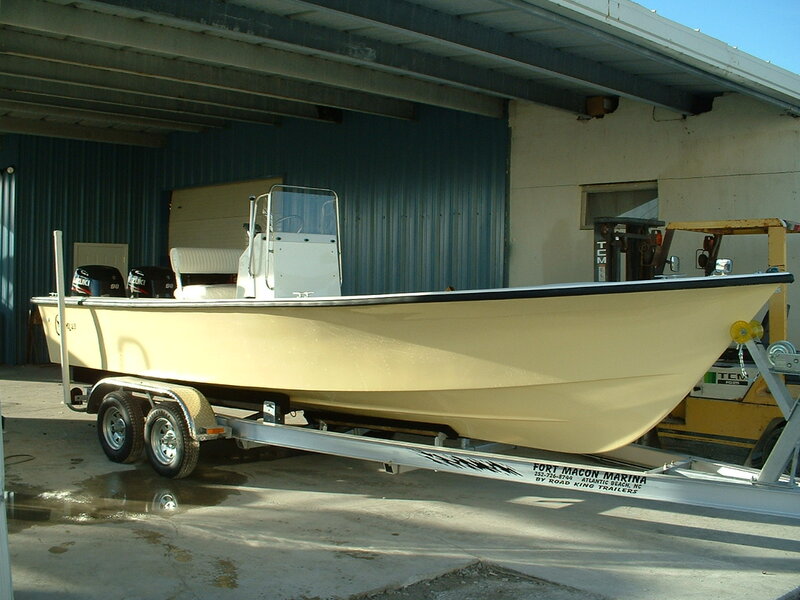 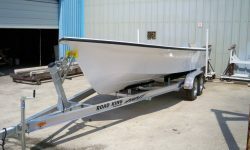 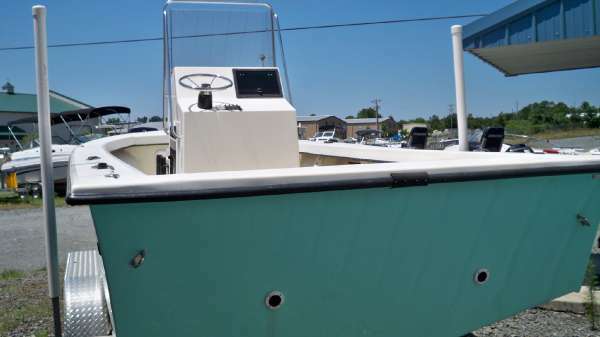 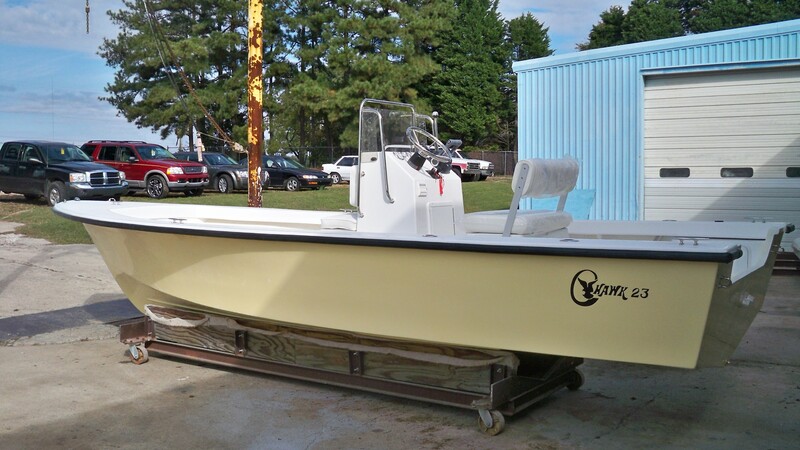 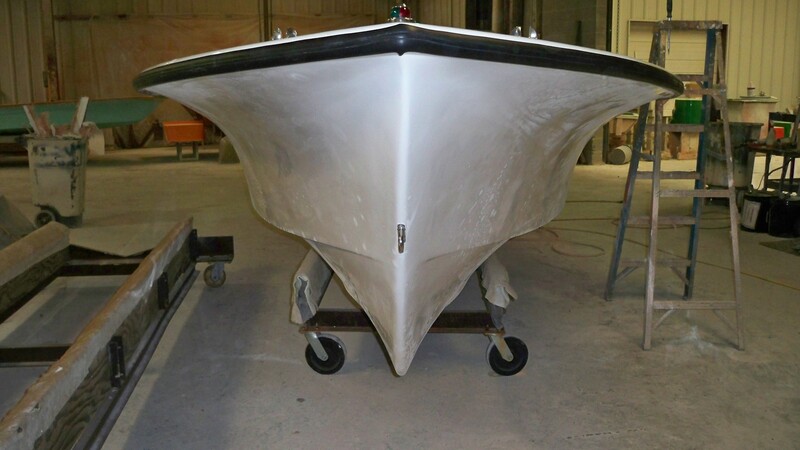 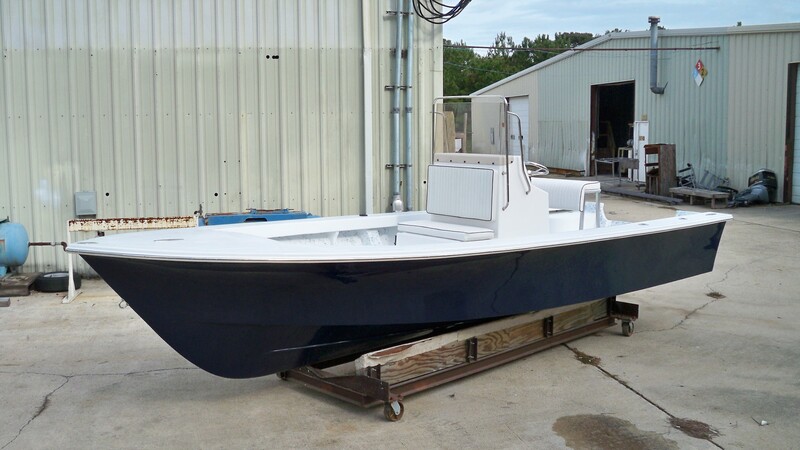 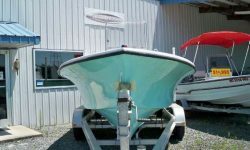 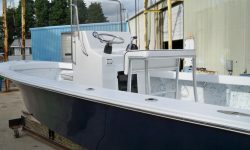 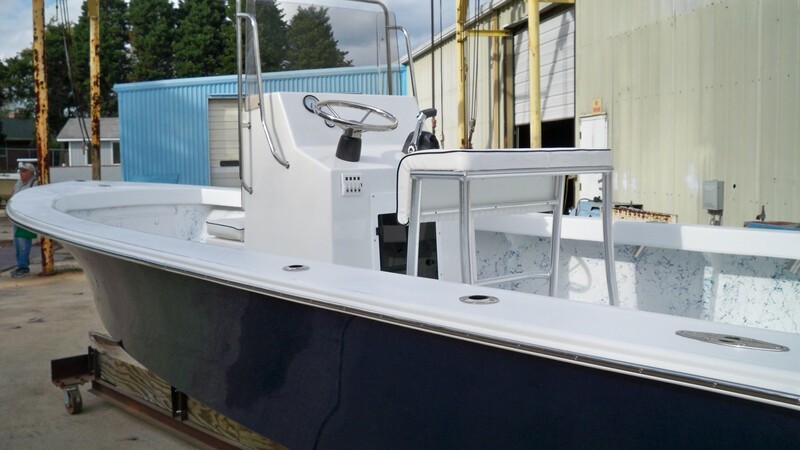 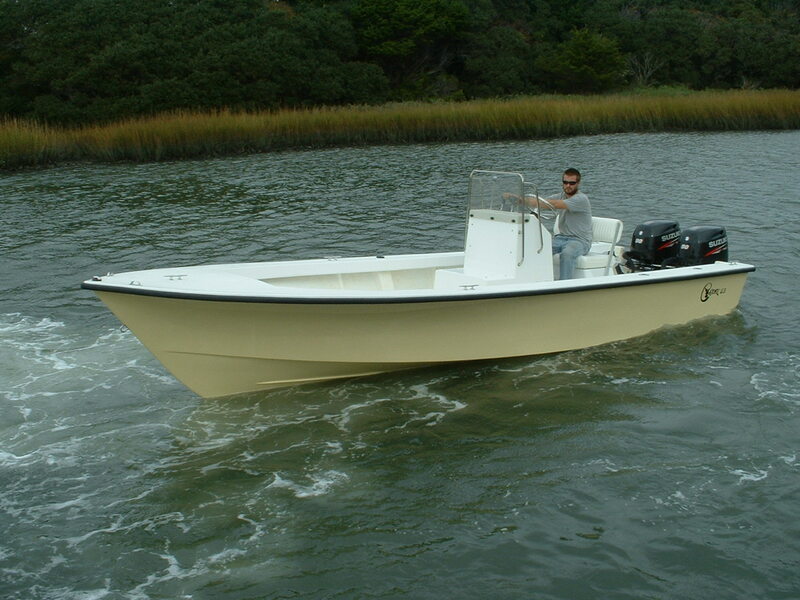 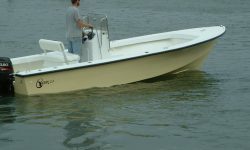 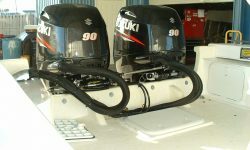 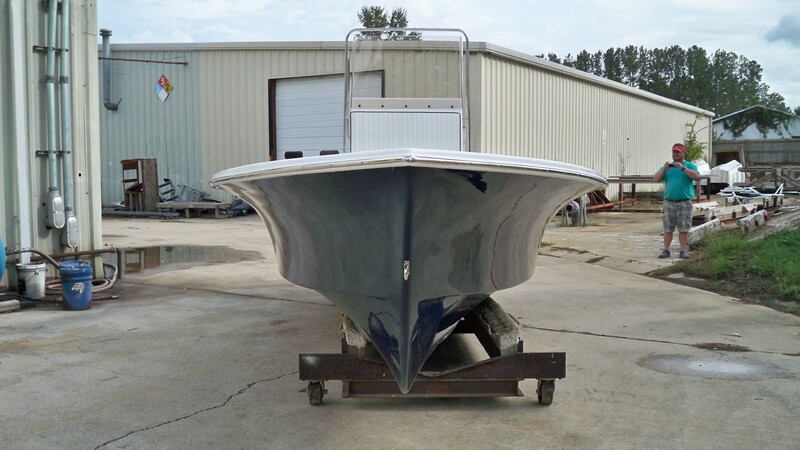 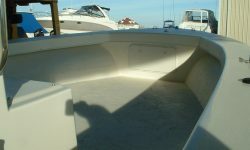 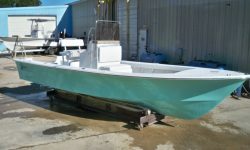 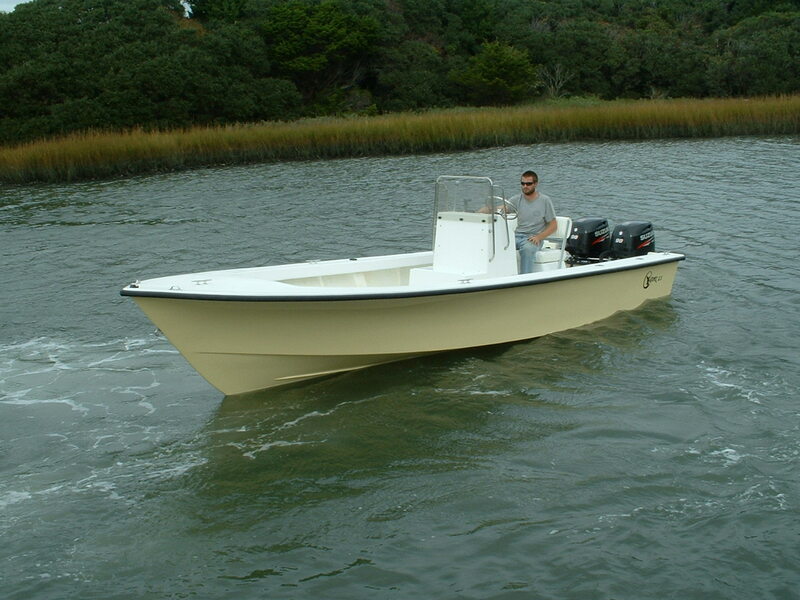 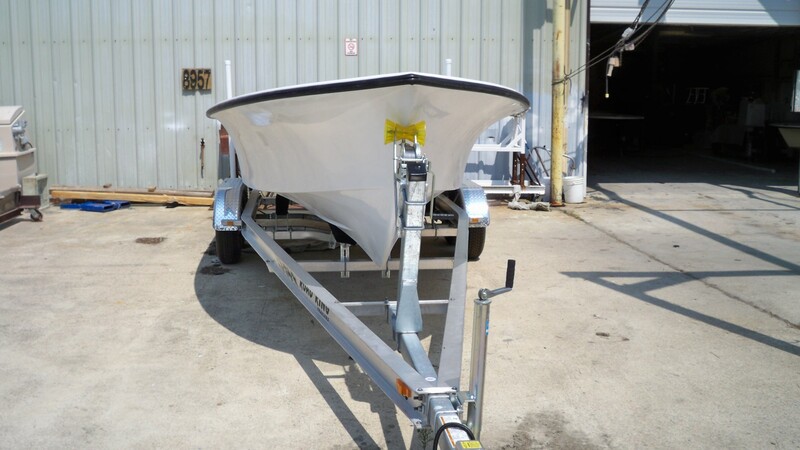 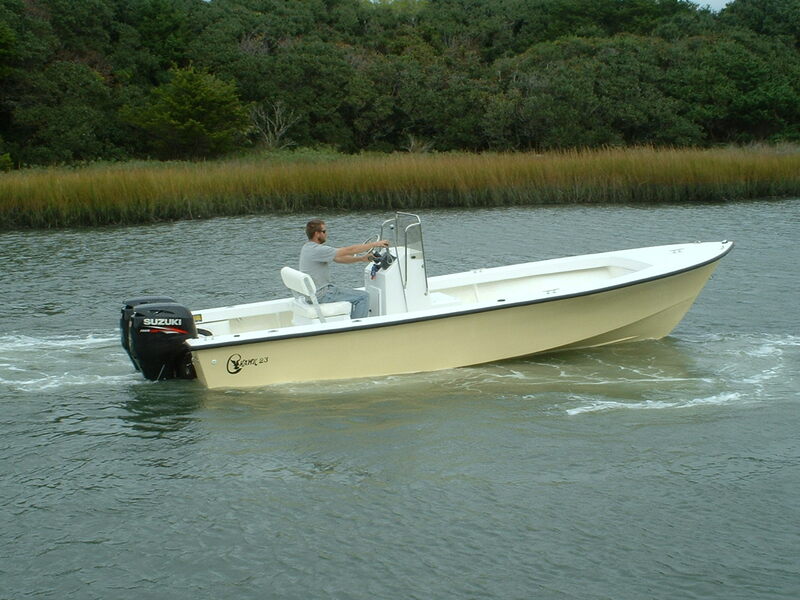 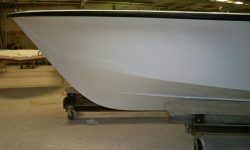 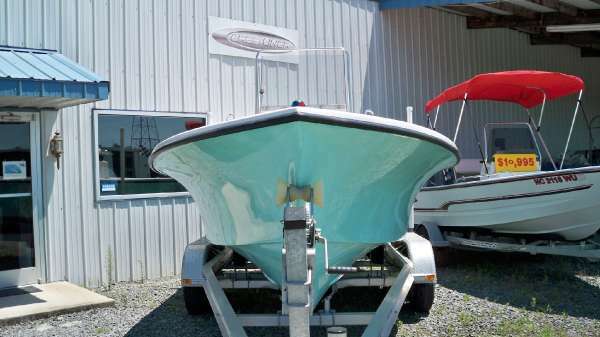 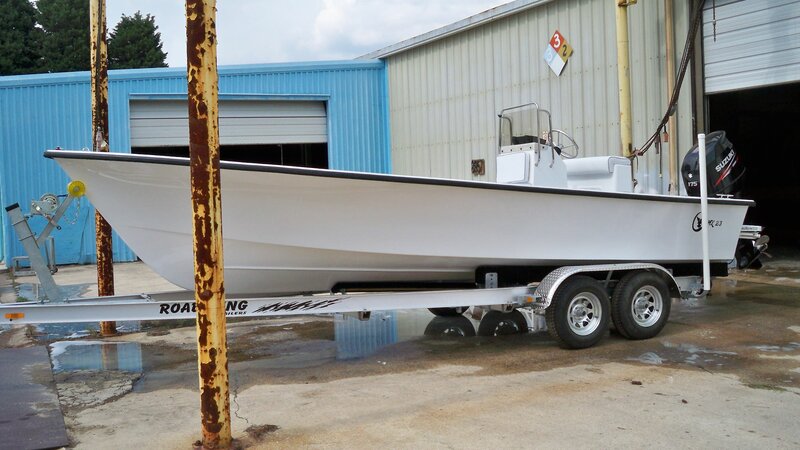 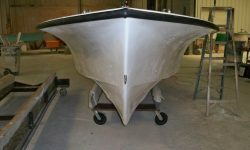 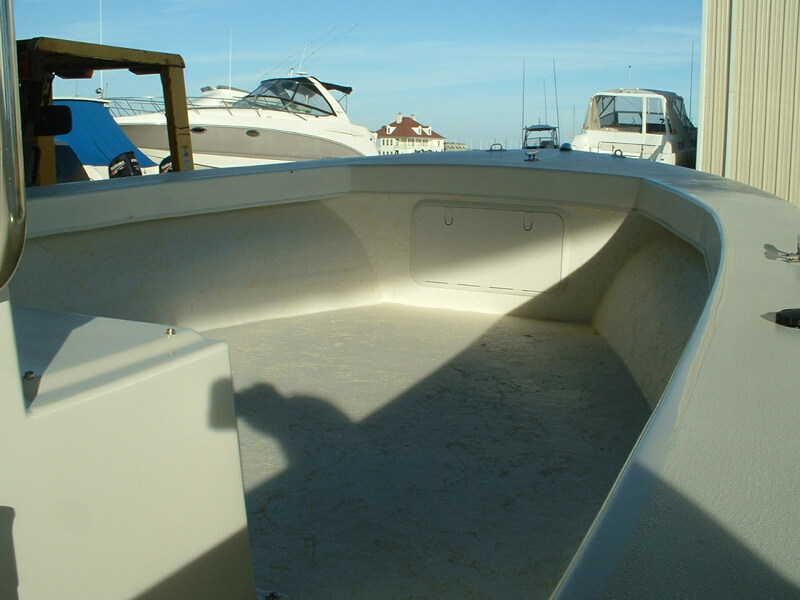 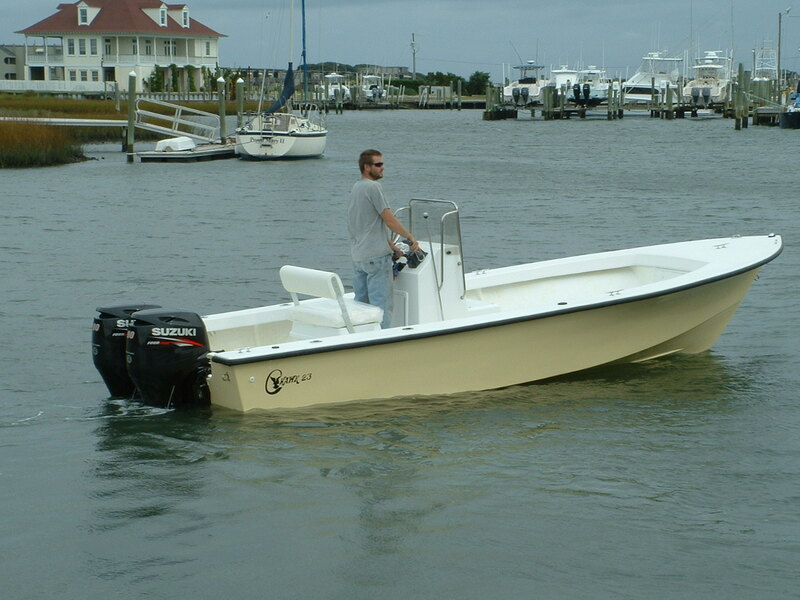 This versatile boat is graceful offshore as well. 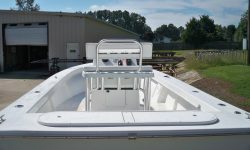 Delete the bow rail and it is great for fly fishing thanks to a big platform and plenty of room to move around. 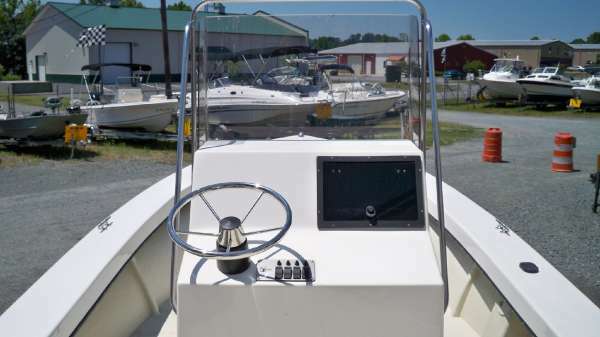 The large console offers plenty of storage space and the electronics box, switch panel and instrument panel give you all the control you need. 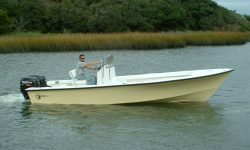 Add a T-Top and you’ve got a boat for all seasons! 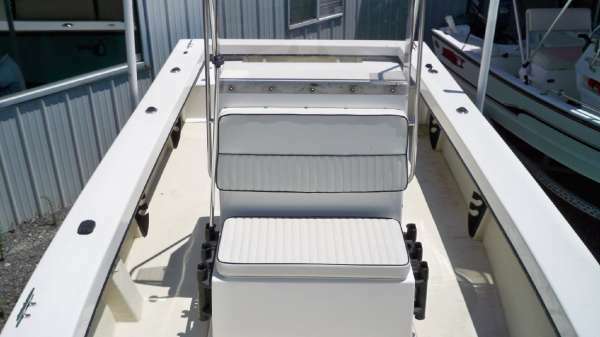 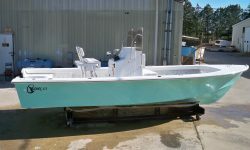 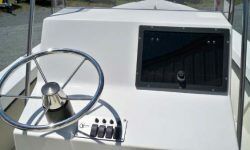 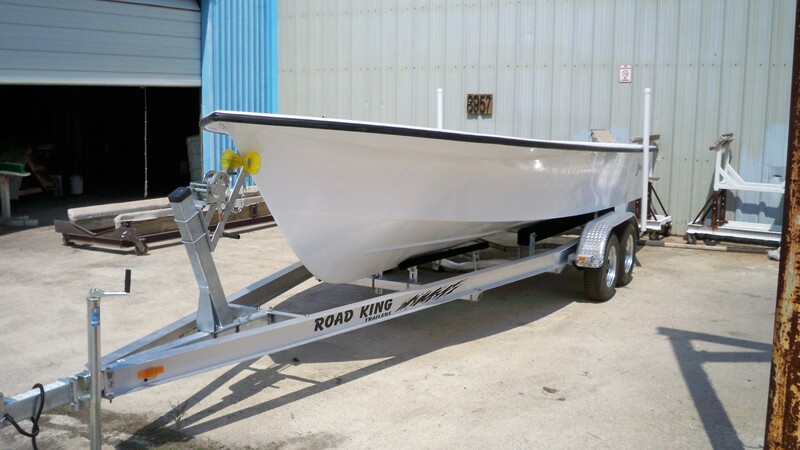 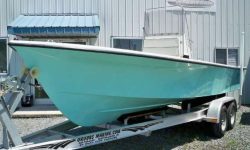 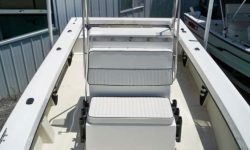 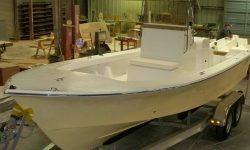 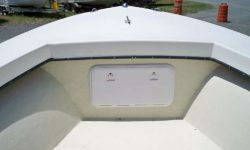 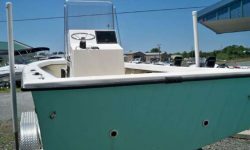 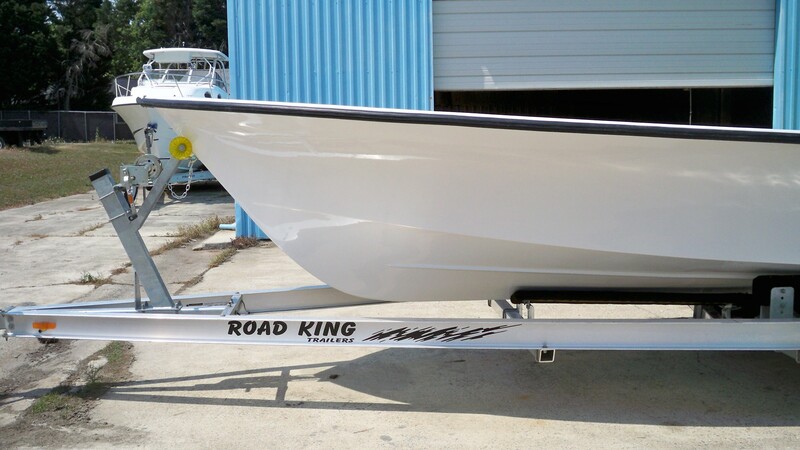 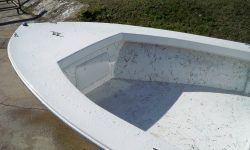 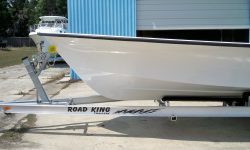 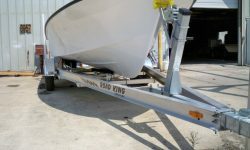 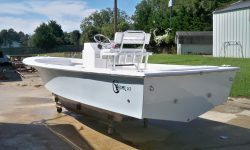 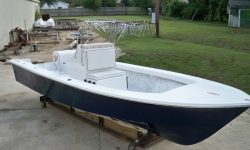 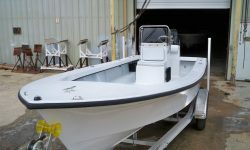 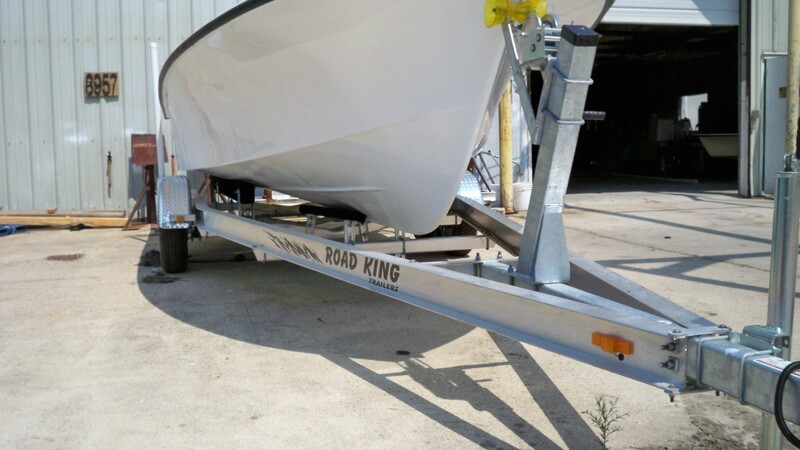 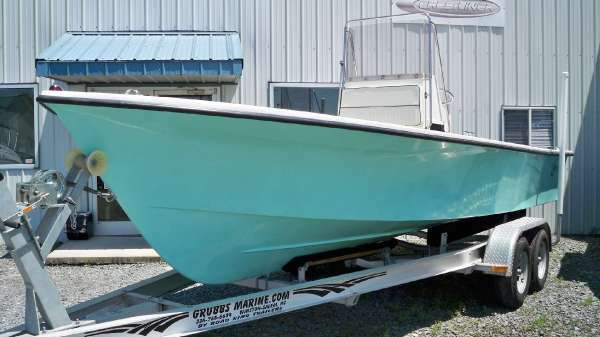 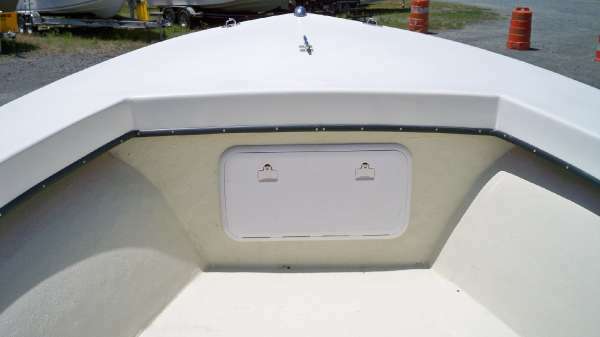 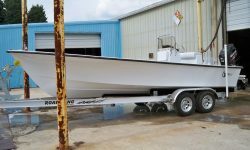 The flat washboard appeals to the commercial fisherman and the long list of optional accessories lets you set this up for recreational fishing, as well. 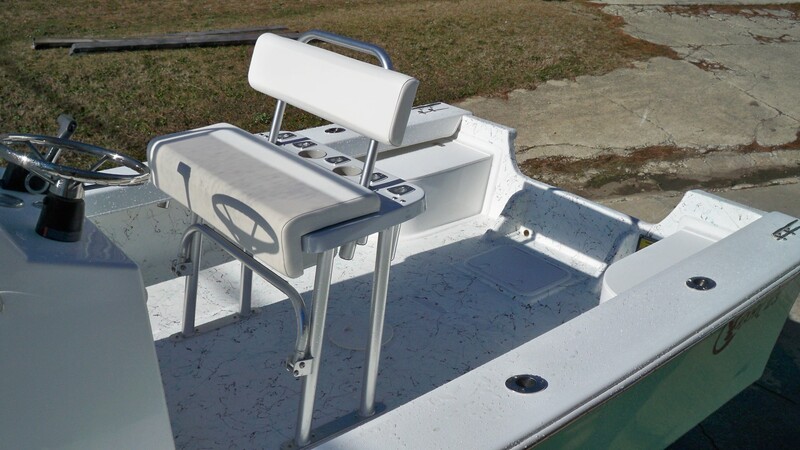 Add a leaning post with cushion, grab bar and rod holders (exchange for chairs). 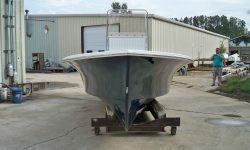 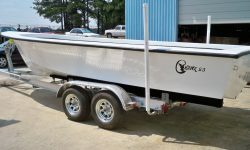 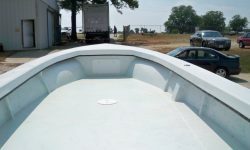 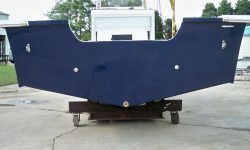 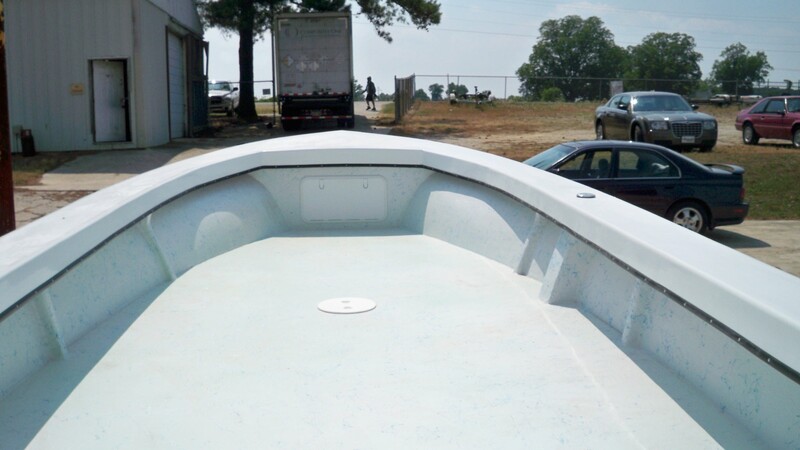 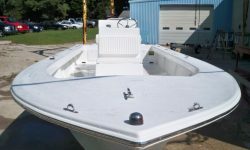 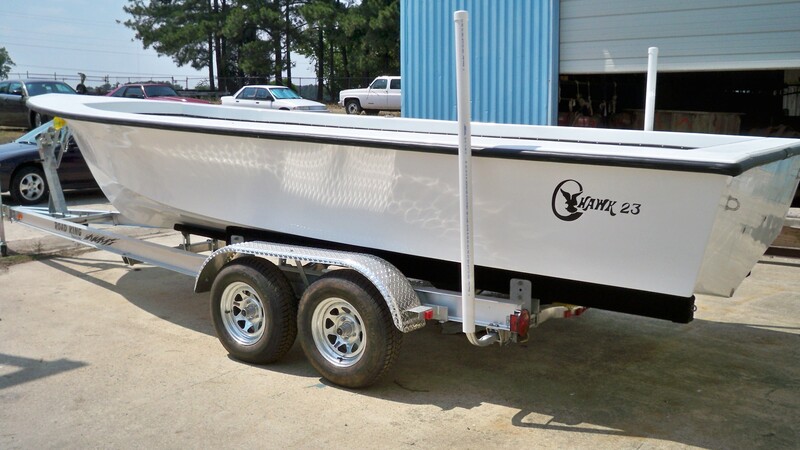 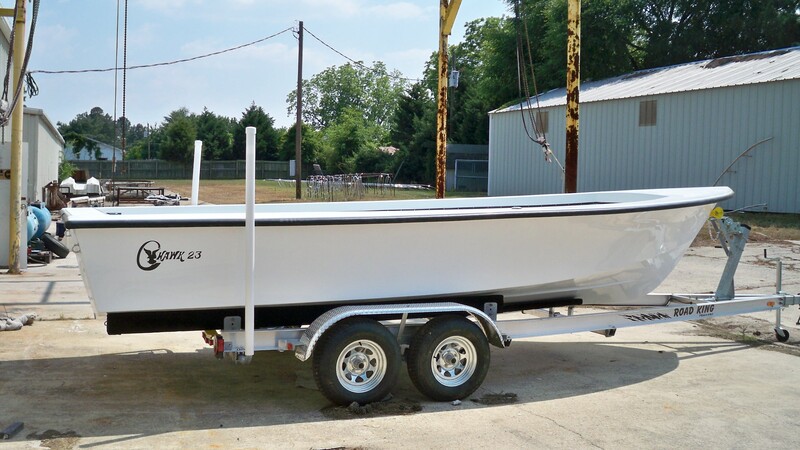 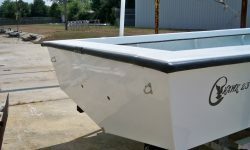 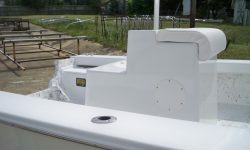 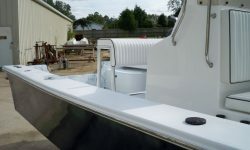 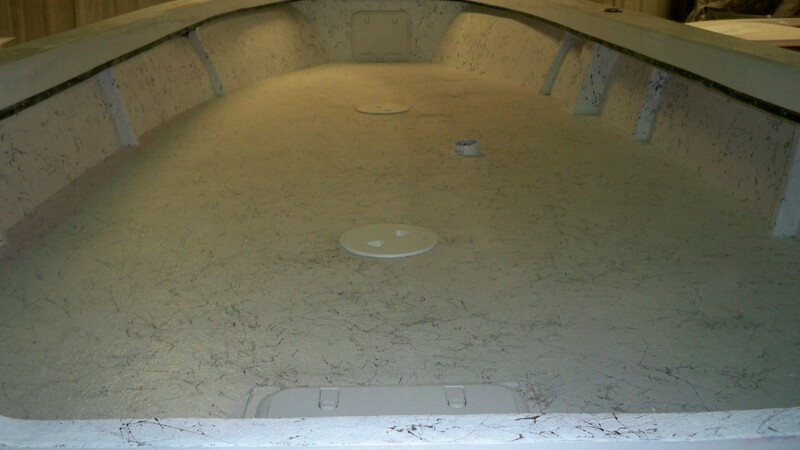 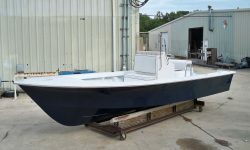 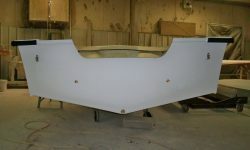 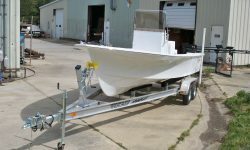 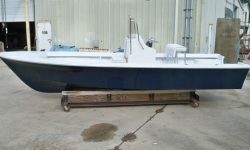 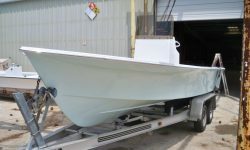 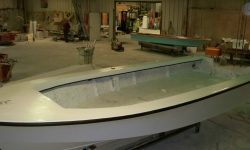 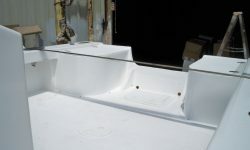 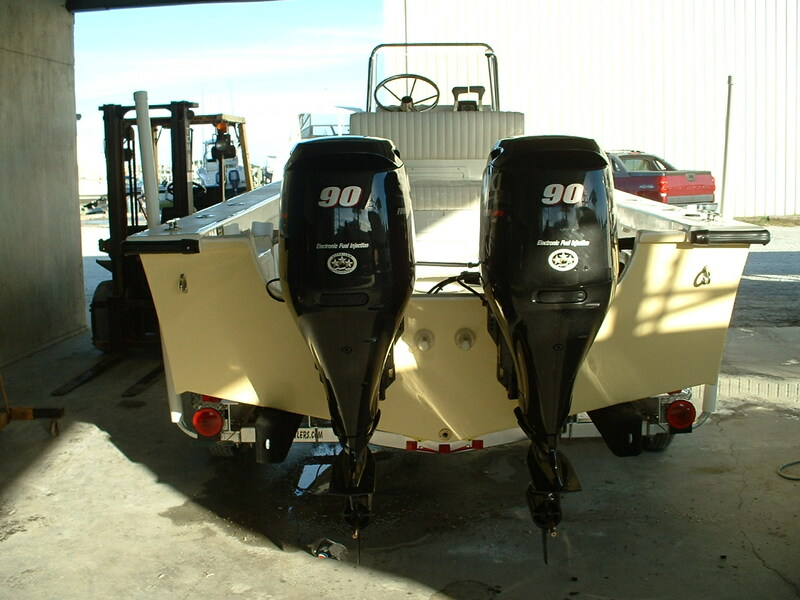 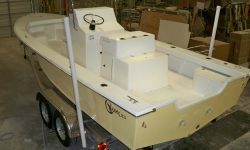 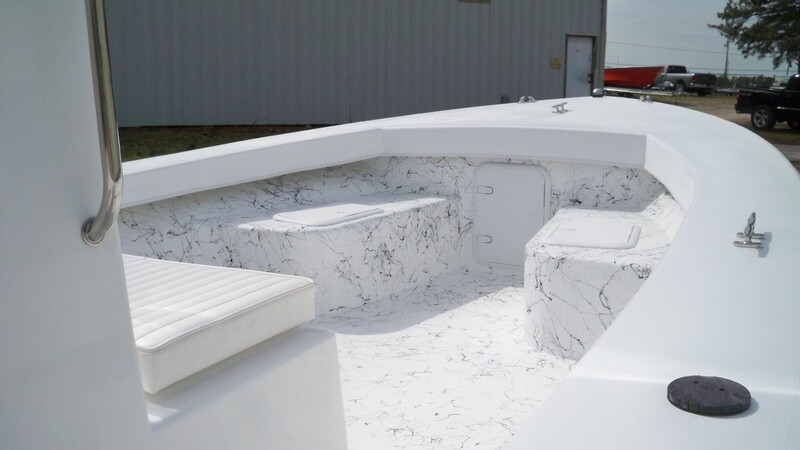 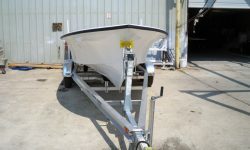 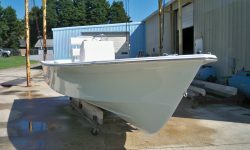 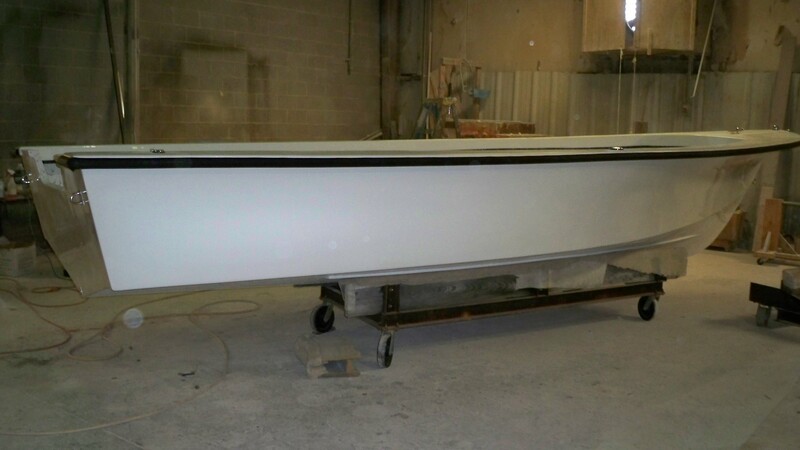 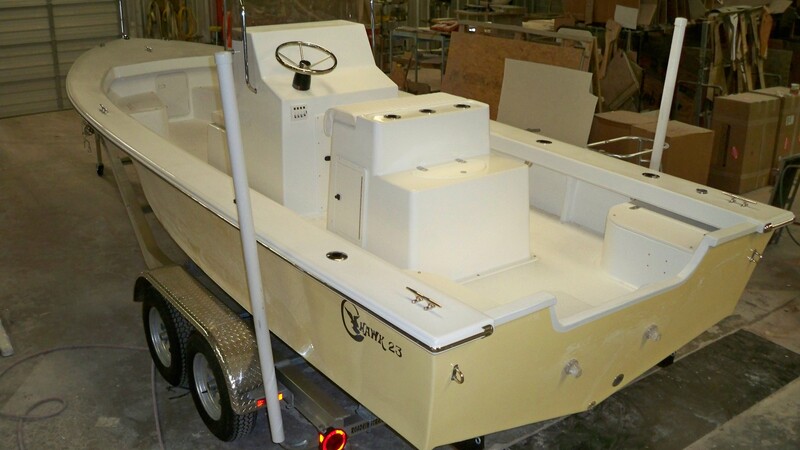 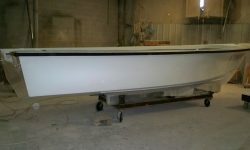 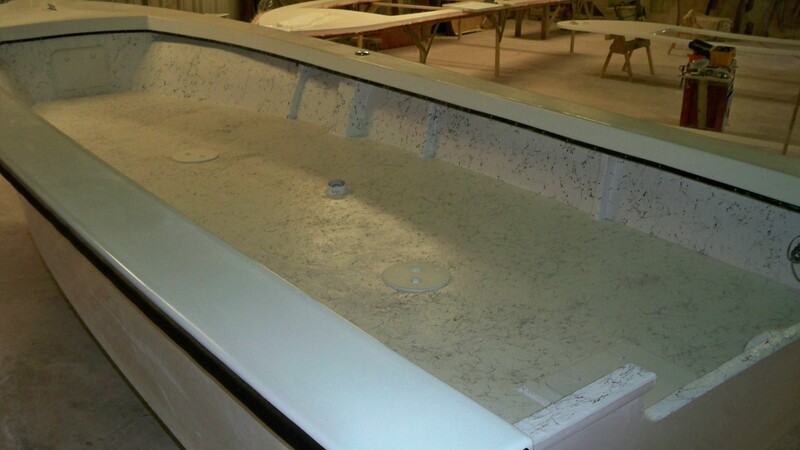 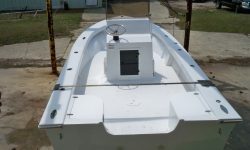 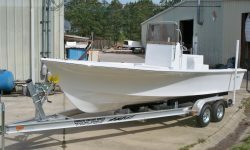 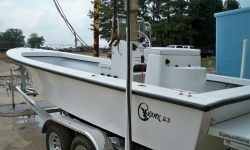 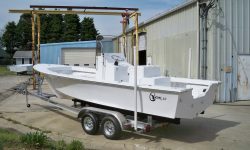 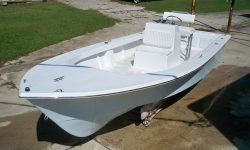 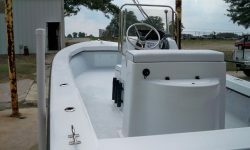 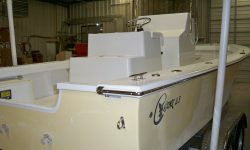 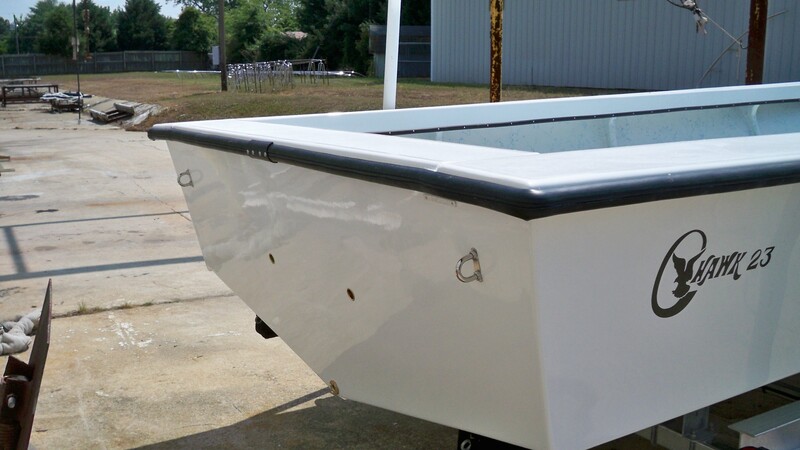 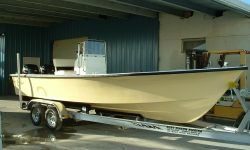 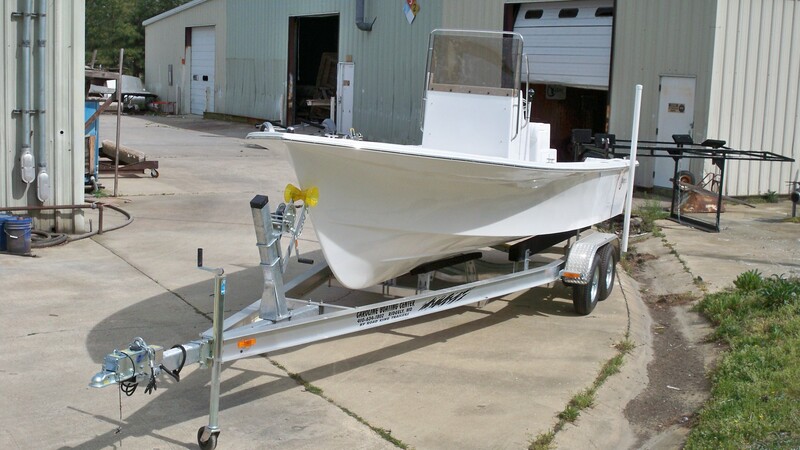 Have us build one with a larger 95 gallon fuel tank and raw water wash down to further enhance your fishing experience. Approx. 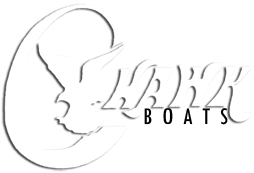 Dry Weight – 2430 lb.